Without doubt our best advertisement is the hundreds of satisfied clients. Advertising – here on the Internet and in the press – is our shop window to the world! While we always try to feature a balanced cross-section of property for sale we are currently handling a very wide range and variety of property, so if you do not see what you want please give us a ring. We may have something immediately suitable, if not we can arrange to tell you about the latest instructions. Don’t wait until you see your ideal home advertised as with our large and constantly changing register – it could well be sold long before it is on this site or widely advertised. By this we mean the terms under which we offer our services to those selling their homes. The Estate Agents Act 1979 requires that we set out what services we offer, what our fees and charges will be and what we have to do to be entitled to this payment. These will be explained by our negotiator with the main points set out clearly in the written terms of business you will be given when your property is being registered for sale. This obligation is covered by statutory regulations under the Estate Agents Act. If an estate agency has not given you all of this information in writing, and in advance of you asking the firm to sell your property, it has not complied with the law. The Regulations are not onerous so there is no reason why an agency would wish to avoid these legal obligations. And as a passing thought one just wonders what else they may be ignoring. Where an estate agent is instructed along with one or more other agents, there are no statutory obligations over the specific wording to be included in their terms of business. However, when an estate agent is appointed as your the sole agent, or has sole selling rights, there are specific forms of wording which must be used. The exact wording is set out in the Section on Sole Agency. Advice and professional guidance is maybe the single most important thing you are going to need! Buying a new home need not be stressful if you know what you are doing and understand the business. And the terminology. We believe that everyone is entitled to good advice – and as leading estate agents we have a great depth of practical and professional experience on which you can draw. If you ever have any query about buying or selling property – all you need do is search this site or, if you are still left with a specific query, please contact us. Farmers have always needed accommodation for staff required to work unsocial hours and local planners sometimes agree to a residential property being built in an otherwise rural location on the strict condition that it is only used by a key farm worker. This restriction will be enshrined in an agricultural covenant intended to prevent the property then being occupied by anyone not employed full time in agriculture. It is a form of tied accommodation. Similar restrictions may also apply to property built on a horticultural holding. This means one cannot buy a smallholding and merely treat the land as a large garden. If the horticultural business closes, the planning permission for the property becomes invalid. There may be room for negotiation if the planners are persuaded that the holding no longer generates sufficient revenue to give the owners a living. They may well agree to a compromise where one member of the family continues to run the smallholding commercially while their partner follows an outside occupation. However, if the business were to be neglected deliberately then a condition of the planning permission would be in breach which could well lead to expensive legal problems. Most local authorities in rural areas have a strict policy on agricultural (and horticultural) tenancies and it is by no means certain that the planners will agree to a covenant being lifted even when the agricultural employment no longer exists. If you are interested in buying a property which remains subject to an agricultural covenant it may sound extremely cheap compared to a similar property without this occupational restriction but, in many areas, green-belt countryside, for example, the planners would rather see the property left empty and fall into disrepair than agree a change of use. They will argue that a single breach of their strict policy would create an unacceptable precedent. Accordingly, before getting too excited over the attractive price of the property, best advice is to get your solicitor to check out the exact terms of the agricultural covenant and whether there may be room for compromise . Applicants is a term used by estate agents to mean all potential buyers. As prospective buyers are not technically customers that sort of expression can be misleading. We sell homes on behalf of the present owners so they would more correctly be called our customers. Applicants should be distinguished from the sellers who are sometimes called vendors though that is now an old fashioned term, not even used by solicitors! The sellers are our clients. We represent them and offer the property for sale on their behalf – charging them a commission fee when we are successful. In normal circumstances we do not make any charge to applicants for keeping them aware of property for sale, or for helping them buy a suitable home. Of course you could retain an agent to help you find a property and to negotiate on your behalf. This service can be useful for those who have busy lives and would appreciate expert assistance. See Buyer’s Agents below and please ring if you would like us to suggest a local firm offering this specialist service. This means getting behind with payments – be it mortgage, rent, rates or whatever. In a nutshell, you should try to budget carefully to avoid getting into arrears. If a real emergency crops up, do not panic but please take advice immediately. Talk to your Financial Adviser or ask the local Citizen’s Advice Bureaux to recommend somebody: many now run a Money Advice Service. With the best will in the world these comments can only give you very general advice about home buying and selling. In the worst case that may be your best option, but please take appropriate advice early on. Remember there is more to buying a home of your own than just repaying the mortgage, apart from the service charges – electricity, gas, water, etc. – you will be paying council tax to the Local Authority and bear in mind that your investment will from time to time require preventive maintenance and repair, costing you more money. Arguably the most important commitment of all is the mortgage payment. If you miss one please make sure that you put it right the next month. Ideally drop the lender a note to explain the problem and apologise. If you look like missing a second payment talk to the lenders in advance of this happening – do not wait until you get a warning letter from their administration unit, as by then your name will be in the system as a defaulter. Should a third payment be missed you could be in real trouble. Depending upon the terms of your particular mortgage agreement the lender may be able to increase your interest rates with immediate effects. Or even take steps to have you evicted from the property. It is at this point you will start to lose control. Do not ignore the warning correspondence tempting as that may be! This will only make matters worse. If you adopt a responsible attitude, explain your problems and negotiate carefully you are far less likely to be taken to court. At this stage you really must talk to an experienced financial adviser or debt counsellor. If you need an introduction please give us a ring and we will suggest the name of a local practitioner. There are many options that can be explored. For a start we can provide an idea of the current market value of the property. If that has increased significantly it may open up other possibilities. This greater margin might well enable you to restructure the mortgage and make up the missed payments in other ways. But we stress that you must take expert advice first. So to recap, whatever you do, please treat the mortgage payments as a priority. Not only is your home at risk but if you were evicted this can be more stressful than going bankrupt and effect you for many more years. House prices are negotiable. A property is only worth what the person who wants it most is prepared to pay the present owner. The asking price is merely the initial price at which a property goes onto the market. The sale price will depend on many other factors. Our experienced negotiators can normally assess the appropriate asking price within fine limits – considering many factors such as the type and popularity of the property, the strength of the current market and what is almost as important – the length of time open to the seller to arrange the move. There is little point in setting an asking price way above comparable property already on offer with which it will be in direct competition. With our understanding and knowledge of the local market-place, you can be confident that we will secure a fair price for you. Auctions are often used to sell property where the owner is not living in the property. There are a number of large auction houses which hold regular sales, sometimes lasting all day, when a large portfolio of property will be offered for sale. Some will be tenanted property sold as an investment property producing a given level of rental income. Others will be property being sold by the financial institutions which financed the original mortgage and where the borrowers were unable to keep up the repayments. The sale prices may sound cheap but such property is rarely in good order and may have been seriously vandalised. You may find a bargain at such an auction but do take care. Our advice is that you should never buy anything at this type of auction unless you have had a full building survey undertaken first and know what you would be taking on. Unless pre-agreed you will be expected to pay a ten-per-cent deposit to the auctioneer with the balance due at completion a set number of days later – usually 28 days. There is no flexibility. That means if you have not sold your own home but want to buy at an auction you may need some form of short-term funding through a bank. Sometimes a large house or country property will be sold at an individual auction. With adequate publicity it will be a successful event and establish a full market price. The main point of an auction is that the final sale price is determined by the potential buyers bidding against each other – usually in public. The top offer is accepted when the auctioneer warns that he is about to sell the property and then drops his hammer. This action creates an agreement which is immediately binding on both parties. Buying is one thing, but this is not necessarily the best way to sell a home since only a few people will be free to bid on any particular day as they must have their finance pre-agreed, and be able to go ahead immediately. In our experience a private treaty negotiation may well secure a better price. Development land is often sold by auction and it could be an ideal way to sell second-hand goods and chattels. We can advise about local auction rooms which specialise in holding regular sales of this type. This is a complex subject. If you want further information we can put you in touch with a local specialist agency. Banks are involved in the housing market in many ways. They are a useful contact for short-term financial help when on the move – especially with bridging loans. However the banks are also a major source of home mortgages in addition to bridging and short-term loans. Their rates can be competitive especially for the larger advances. However the whole subject of home loan finance is so important that you must take advice as to which type and source of mortgage is most appropriate for you at this time. Please ask our advice. The beneficial owner is anyone who enjoys the benefits of the ownership although they may not necessarily be in residence nor even a name on the title deeds. This flexibility in this legal concept allows an owner the right to sell the property while still subject to mortgage charged against the deeds by a bank or building society. Clearly, the mortgagees will need to be repaid but, without court action, the lender cannot prevent a sale. In law, the contract for sale will talk about the seller being the beneficial owner. That implies this individual is entitled to sell the property and gives a strong, implied covenant that nobody else has an interest in the property. This is unlikely to cause a problem now that all property effectively has registered title which should fully disclose all the people with registered interests, including any charges registered under the Matrimonial Homes Act. If these exist your conveyancer will seek the necessary undertakings to ensure they are lifted to allow the sale to proceed. This is a technical term but extremely important nevertheless. We are fully bonded – through a comprehensive scheme – thus safeguarding any money left with us as house purchase deposit or as rent. All such monies are kept in specially designated Clients’ Accounts so there is no risk of your money going astray. Although we see this type of bonding insurance as very important, regretfully it is not yet obligatory by law although the Government is discussing the idea. All reputable estate agents should have it – but, for your own peace of mind, do please check. If the answer should be ‘No’ ask why and then be on your guard if you must deal with the estate agency in question. These obviously mean the outside edge of the land that goes with the property you are buying – the curtilage in legal terms – but they can cause untold problems unless their position is clearly understood by both sides! If there is any doubt, ask the seller to walk around the land with you pointing it out. If a query still remains, ask your solicitor or legal conveyancer to investigate so you know exactly where the boundary runs – which might avoid soured relationships and an unhappy argument with your new neighbours. Often Land Registry can supply a plan but these are usually too small to be much help. These are short-term financial advances, usually from a bank, to help with transitional arrangements during a move of house. Most commonly this will be a loan towards the 10% deposit when all your capital is tied into the house you are selling, but the need may also arise if you are both buying and selling and the two transactions do not coincide. Banks dislike open-ended bridging without some form of guarantee of repayment, but there are several other schemes designed to help get over the problems. If you are in this position, please do ask for our specific advice. These are the technical rules and regulations governing any extension building alterations you wish to carry out to a property. Although a modest extension may not require planning permission, it will still need to comply with the building regulation requirements. The Building Control Department of your Local Authority will be able to advise what is involved and, depending upon the scale of the work, you may decide to ask for help from a chartered surveyor or architect. It has to be said Building Regulations can cause estate agents problems when we are asked to sell a property where, it later transpires, some aspect breaches the Regulations or the work was undertaken without the necessary approval. Building Regulations cover such matters as the structural integrity of the work, the provision of services, insulation standards as well as health and safety considerations such as compliance with the fire regulations, etc. Sometimes retrospective consent will be necessary but, in extreme cases, remedial work may be required. These were once a major national savings institution and for well over 200 years the main source of house-purchase mortgages. Now building society mortgages represent a small proportion of the market. Since the Building Societies Act in 1986 the whole the operation and structure of building societies has changed and many former societies are now mortgage banks. Abbey National, Halifax, Alliance & Leicester, Northern Rock, and the Woolwich were all former building societies. The Nationwide, and most of the other remaining building societies, argue that they are able to offer a better service, and cheaper loans, than the banks which must distribute profits as dividends to their outside shareholders. What must be conceded is that following the relaxations, introduced over the last 20 years, there is now a far greater degree of competition between individual building societies, and the mortgage banks, than ever before. And many more types of mortgage are on the market. Another consequence is that terms and conditions are constantly being revised with a vast variety of loans now available. While the variation in the net costs of a straightforward mortgage may be relatively small they could be more significant in the case of older property or if your application is unusual in any way. Specialist advice is absolute essential whether you wish to borrow money or have savings to invest – do talk to us. If we cannot give you the necessary advice ourselves we will introduce you to someone reliable who can. Obviously a buyer is the individual who is buying a particular property but many estate agents will talk about buyers as meaning applicants who are seriously intending to buy a property. If we know precisely what a prospective buyer wants, we try to telephone as soon as anything suitable comes to our attention, or perhaps send you a SMS. Accordingly, if you are seriously in the market to buy, talk to our negotiator and ask if we can keep you in touch in this way – it’s an important part of our service and hopefully avoids you missing out should your ‘ideal’ home come along. A buyer’s agent is somebody who is retained by a would-be purchaser to help them locate a suitable property and then advise and assist with the negotiations. The agency fees are paid by the buyer-client – usually an initial retainer and a percentage fee based on the price of the acquired property. A small number of firms specialise in offering this type of service and have reliable contacts among up-market estate agents who can help them to locate appropriate property. In estate agency terms, a chain means a situation where several people are buying and selling their property in a series of inter-related transactions. Presently, there is a great deal of talk about reducing the problems they cause but they are likely to remain a major feature of estate agency practice for some while. And that is where we come in. We pride ourselves on keeping an eye on all aspects of each chain. By liasing closely with the solicitors and all the parties involved we can anticipate and hopefully overcome minor problems before they cause unnecessary trouble. An estate agent is in a unique position to help in this way – solicitors are more restricted in whom they can speak to – so this is an important part of our service. Being realistic, in a chain of sales, everyone moves at the speed of the slowest transaction. That also means that if one sale cancels, or at the end of a chain, a house remains unsold, it can cause worry and stress to many other people. Again this is where our specialist expertise can be vital. We have unique experience of how to minimise the problems by using bridging facilities or by arranging for someone to buy in the critical property – maybe sharing the expense equitably. This term is frequently misunderstood and misused. By clients, we mean the people who have registered their property with us for sale. They are the sellers who will, we hope, pay our fees: it is our duty to act in their best interests. We represent these clients and it is our responsibility is to market their property effectively and sell it for a fair price. That means applicants and buyers are not clients, unless we are also selling a property for them when they could be both but strictly in relation to two different properties. Estate agents are not brokers – we cannot advise prospective buyers, that is not our role. Technically, this means ‘standing alongside’ – something which follows from the main contract and is, effectively, part and parcel of that agreement and tied to it. A collateral agreement is one which could not be fulfilled independently of the main contract. The easiest example to cite is a contract for the sale of stock which is dependent upon the sale of a shop as a going concern. There is a secondary meaning to the term collateral – it sometimes means the security for a loan. Normally a lender takes a mortgage charge to secure the loan of funds required to finance the original purchase. Where the value of the property is well in excess of the loan there are no problems and the charge against the title recorded at the Land Registry will be adequate security. However, if the loan is close to the full market value of the property, the bank or building society may ask for additional collateral before approving the mortgage. This may be a second charge against another property or some other valuable consideration – for example, an insurance policy charged to the lender, an undertaking from a family trust or a lien (q.v.) over shares in family-owned business. This secondary security stands alongside the main registered charge as additional collateral. This is the fee which an estate agent charges for arranging the sale. Many estate agents advertise that they will cut their fees, but this must also mean some equivalent cut in the work they undertake – one cannot offer a fully comprehensive estate agency service, efficiently, on the cheap. The cut is not only in the commission it has to be in some aspect of the service too. And bear in mind that reduction might be reflected in the final price you achieve, or you may find that when troubles build up the agent doesn’t want to know, he hasn’t the time or experienced staff to handle the sales progress work. Obtaining an offer is often the easy bit! We believe our commission rates are realistic and fair. You will be given full information up front so that you know what you will have to pay and what we have to do to earn our fees. We will also agree any advertising or other charges that may arise. The only extra will be the VAT on the final bill. The Government has recently introduced this new type of title which is intended to replace leasehold for new flat developments. It is called ‘strata title’ in Australia and Canada, and there will be no time limit on the ownership. Of course all the commonholders still share the maintenance and repair obligations in common. The aim is effectively to merge freehold and leasehold into one simplified package. Although the provision was included in the legislation for existing leasehold flats to become commonhold, the procedures for obtaining consent of all the existing leaseholders are extremely complicated. A few small schemes have looked at the idea but few if any have succeeded. Effectively, commonholds will be the usual tile for new flats and apartments. That said, many lawyers believe that there is little wrong with a well drawn leasehold and may advise their client to avoid the untried and untested commonhold approach. This is that marvellous day when it is all over and the new property is yours. Or if you are selling you get paid and hand over the keys – and the responsibilities! The transaction is complete! Technically, completion means the point in time when the buyer hands over the balance of payment for the property and receives, in exchange, good title and the keys. At that point, but not until, the buyer is free to take occupation. When involved in a chain of sales, you must bear in mind that it is not practical to arrange all completions simultaneously. You will need to keep in touch with your solicitor or legal advisers to make sure you know when you are free to take possession. If we are holding the keys, we will not be able to release them to you until we have appropriate authority and confirmation that the transaction and transfer of the money has gone through. On a busy day, this can cause delay and be an unnecessary worry, so plan carefully in advance! A quick word of advice – avoid a Friday afternoon! There are around 8,000 Conservation Areas (CA) in England and Wales. Bath is a European Heritage city where virtually the whole area is a strictly controlled CA. But many towns have especially attractive enclaves where the Local Authority feels additional restrictions are necessary to protect and preserve the visual amenities. Consequently, residential property in a CA can be extremely popular and may well command a premium in the market over similar property elsewhere. Any CA will be precisely defined: the demarcation line may run between individual houses or down the centre of a road which means a house on one side of a street could be in the CA while a house immediately opposite is outside the area. This single factor may significantly affect the price – up or down depending upon the stringency of the regulations. The Local Authority will have the Areas marked on the Local Plan with a clear pink line showing the exact boundaries. Some Authorities will have adopted a strict Code covering things like window styles, their construction, and external colour schemes while others may be more flexible. They will also publish a CA Code based on a policy statement outlining their approach to conservation, and listing any restrictions which apply to the owners of property in the CA. Generally the restrictions will not be as strict as those applying to property which is listed as being of Historic or Architectural Interest, but nevertheless should be checked out carefully if you are contemplating a purchase in a CA. With increasing concern over environmental problems caused by contaminated land – sometimes called ‘brownfield’ sites – you may want specific information on a particular area, or general reassurance about the risk of local mining subsidence, etc. There is a national database being established where this type of information should be more readily available. For details of the SiteCheck and EnviroCheck service contact the Landmark Information Group on 01392 441700, or visit its web-site www.landmarkinformation.co.uk. The Government is shortly to change the way property is sold with a mandatory Home Information Pack (q.v.) being available for applicants to inspect. Although the final Regulations are still be drafted, it is almost certain that an Environmental Report will be one of the necessary documents. In most areas it will mention matters like flood risk and pollution levels but will be more important for brownfield developments and areas with a history of mining activity. By this we mean the legal document relating to your proposed sale or purchase. These will set out the various terms and conditions with the exact wording agreed between the two legal advisers as appropriate. Once these terms are agreed, both seller and purchaser sign their copy of the contract. When these two, then identical, documents are exchanged, the deal is settled and becomes binding on both parties. You cannot change you mind! Until then, while the transaction is still ‘subject to contract’, other negotiations could continue – indeed we are obliged by law to notify a seller-client of any other offer made for their property right up to the final exchange of contracts. Remember this is a private treaty negotiation and details of the various offers are not disclosed to anyone else interested in the property, technically without agreement – if all parties agreed that is a different matter. Usually they do not. A contract race is a situation where the seller-client, who may well be under pressure and at risk of losing their own purchase, agrees that they will exchange contracts with whichever of two, or more, prospective buyers is in a position to go ahead first. This is never an easy position to resolve, and sound advice then becomes critically important. When you are buying a property, ‘subject to contract’, neither you nor the seller are committed. You may need to change your mind for any number of reasons and prior to exchange of contracts are free to do so. It is only fair that the seller should have a similar right. If you are keen to secure the property make sure your solicitor knows this and insist that he pushes ahead quickly. These days with fax and electronic mail it is possible to agree most deals in a matter of days if not hours when necessary. When an owner is keen to sell his property quickly and faced with two (or more) similar offers again he may well instruct his conveyancer to send out draft contracts to all the potential buyers. Usually, the accompanying letter will state that it is the intention to accept whichever set of contract documents is returned first, with the appropriate deposit and authority to exchange unconditionally. This may be an alternative to gazumping (q.v.) the buyer who made the first offer and creating a bidding battle. That could risk alienating both potential purchasers. Whether a buyer wishes to get involved in a contract race is another matter. The decision will depend upon how much work is going to be necessary and whether the other buyers are in a strong position. If faced with this possibility always talk to your solicitor immediately. He can advise what steps he is prepared to take to help you succeed and estimate the time-scale involved. In these situations, the estate agent has to be impartial and the onus lies with each individual’s solicitor. It should be said that with the various improvements in electronic conveyancing most contract races will now be over in hours rather than days. Certainly anyone with an existing house which has to be sold as part of a chain (q.v.) is at an initial disadvantage in a contract race unless a bridging loan (q.v.) is immediately available. There is a further word of warning that should be given. Under the professional regulations that apply to solicitors, licensed conveyancers and estate agents, you will always be told when a second (or additional) contract has been issued and, in effect, a contract race starts. Unless the seller’s solicitor states specifically that his instruction from the seller-client is to accept the first contract cleared for exchange, you may not succeed in buying the property. It is not unknown for an owner, under great pressure himself, to set up a contract race in order to put pressure on his preferred buyer and have a back-up if this other buyer does not get his contract signed and returned in time. For example, many new home developers set strict deadline dates. If the seller is buying a new house he may have a specific objective and ask his solicitor to hold a contract until the last minute. We should also add that some solicitors resent contract races on principle and always advise their clients against getting involved. This may be an understandable attitude for a professional lawyer to take but we believe it should be your decision as a prospective buyer. Even if a solicitor taking this point of view, accepts your instruction and reluctantly enters a contract race, he may not be as committed as your rivals. Contract races can be won providing you and your solicitor are prepared to tackle the challenge enthusiastically – and that means more than using first-class stamp for the pre-contract enquiries. Ask us if you want further advice or an introduction to an enterprising conveyancer. This expression covers all the legal work involved in the transfer of ownership of a home from one person to another. The work is usually handled by a solicitor or licensed conveyancer, both of whom must have achieved suitable professional qualifications, have adequate indemnity provisions in place and the necessary experience to handle the matter competently. Conveyancing means everything that happens from when your initial offer is accepted ‘subject to contract’, through to exchange of contracts and the full legal completion. Technically, a conveyance is the final transfer document passing over the title and the legal responsibilities that go with ownership of the property. The land Registration Act 2002 has changed all the time-honoured procedures and over the next few years, various Regulations will be introduced leading with ten or 12 years to totally electronic conveyancing – right down to electronic signatures! Have you got yours yet? Associated changes in estate agency practice will be quite significant and are briefly described under Home Information Packs. Taxes are a fact of life and likely to remain so in one form or another! As one might expect Council Tax pays for the services and local facilities provided by the Council – street lighting, refuse collection, libraries, etc. Most councils will accept payment on a monthly instalment basis – sometimes ten payments each year with two months off. The tax cannot be avoided. Every property has been assessed and placed in one of eight Bands from A to H. These figures were calculated according to a rough estimate of the market value in 1991 based on standard assumptions. If a property is substantially extended, reduced in size, or there is a material change of use the local Valuation Office should be notified when the property may be rebanded. There are appeal provisions which must be lodged within six months of formal notification of the allocated Band. Your legal adviser will adjust the various payments for the tax and the service charges according to the date of the move – adjusting the responsibility as necessary by agreement with the other conveyancers. The Government is looking into alternative methods for financing local government but is a long way from deciding on a new approach. In the meanwhile the reassessment of all Council Tax Bands in 2007 has bee postponed until after the next General Election: it is easy to guess why! When somebody cannot pay a debt and is then sued for payment through a County Court the resulting judgment, where the claimant is successful, will be formally recorded on a public register of County Court Judgments. The entry is frequently referred to as a CCJ. There are several credit-checking companies which collect this information from the Courts on a daily basis and add it to their database. Many traders selling high value items, such as a motorcar, will check that the buyer does not have any CCJs registered against their name. Bank and mortgage lenders and all credit-card suppliers will always check these databases for undischarged CCJs. Most will refuse finance based on this credit check, sometimes without any further explanation. Unfortunately, it is far easier to get your name on to these registers when you have an unpaid CCJ than it is to remove the record once the debt is repaid in full. The Data Protection Act places stringent conditions on the operators and owners of any databases recording CCJs to ensure maximum accuracy. You can insist on being supplied with a copy of all the information recorded about you and can insist that it is corrected if not factually correct. However, there is no obligation for a credit reference agency to notify you about changes to your entry. You must request the information. Providing the data are accurate, you cannot have a valid CCJ removed nor restrict the credit reference agencies from selling this information to its subscribers. Most banks and building societies have computer programs which automatically carry out frequent cross-checks. There are several words of advice. Firstly and self-evidently, try never to get into serious debt. Secondly, if you cannot pay a debt or meet the agreed repayments do not let matters get out of hand. Try to negotiate a reduced payment by restructuring the debts and, if at all possible, avoid a CCJ. When you manage to pay off a debt which was subject to a CCJ you must make sure the claimant formally notifies the court in question that the debt has been paid and the judgment satisfied. If you come to an arrangement with your creditor and only repay a portion of the judgment debt make sure he nevertheless agrees to tell the court the matter is settled. There is no time limit on CCJs. They remain on the public record indefinitely unless action is taken to remove the entry. It is highly unlikely that you will be able to buy a house while you have an undischarged CCJ against your name. There are some specialist lenders which claim to consider applicants with outstanding CCJs but few will actually grant a mortgage and, if they do, the lending terms could be penal. This is a complex subject where we can only give you this general guidance. If you need help, best advice is to talk to your local Citizens Advice Bureaux which will have experts available to give you sound and confidential advice. A covenant is any binding legal obligation which the owner of the property is obliged to fulfil. For example, to allow a neighbour a specific right of access across the property in which case the neighbour, who has these rights, is said to enjoy the benefits of an easement. Not all covenants have related easements. Some more general covenants may relate to maintenance of the property, or to the protection of the interests or the environment for the benefit of everybody living locally. Most of these obligations will be listed in the title deeds or in separate documents although, in some cases, they may even be implied. The obligations to comply with the covenants will be transferred in the contract agreement. An express covenant will be set out in full in writing and be part of the agreement while an implied covenant will be one which follows automatically from other provisions that are in writing. The fact a covenant is only implied does not mean to can be ignored. Covenants may be positive – requiring the property owner to do something specific – or negative (or restrictive) preventing a property owner from doing something, for example, parking a caravan in front of the house, or holding a noisy all-night party! These responsibilities will be set out in the draft contract and inherited with the conveyance of the property. Some covenants are very old, maybe dating from when the area was first developed, and their validity has probably long since lapsed. Law reform is being discussed to cancel such irrelevant covenants out – ask your solicitor if any apply to your proposed purchase so that you know what specific obligations remain in force. Details of all current covenants will be included in the new Home Information Packs when they are introduced in a few years’ time. There is an alternative meaning of the word covenant when it refers to personal creditworthiness. This aspect could come into question when you are taking up a tenancy or offering to act as a guarantor. A tenant with excellent financial and professional references is said to have presented a strong covenant. This means the legal boundary to the land which accompanies a dwelling house. It is not necessarily the line of the fences or walls but may extend to the edge of the roadway – or even to the centre of the road if it is unadopted (q.v.). Where a river or stream runs along a boundary the curtilage may be in the centre of the water-course, or the far bank – when the owner will have riparian rights. However, if the curtilage were to lie on the near bank the owner has no right to draw water, to boat or to fish unless specified otherwise in the Deeds. Incidentally, when a drainage ditch has been constructed and a hedge planted along the edge there is a strong presumption that the ditch belongs to the land owner who owns the hedge. In other words the boundary lies beyond the hedge and across the ditch. Normally a plan showing the exact curtilage of a residential property will be available from the Land Registry (q.v.) although these are often to a small scale and less helpful. Ideally the present owner will know exactly. This is a collective term for all the legal documents and papers associated with the title to the property. These days they are rapidly losing their significance as the majority of titles are now held by the Land Registry. This is a national database which records the ownership of virtually 99% of residential properties. Any important documents associated with the Deeds will be on this system and therefore available on request in an electronic format as well as a hard copy by post. To the legal profession a LR title is proof of ownership as the accuracy of the database is extremely high with unimpeachable security. The Deeds still record positive covenants but virtually everything else, including any negative or restrictive covenants are recorded by the LR. Under the Land Registration Act 2002, Deeds will become irrelevant and valueless. Strange to thin that building societies used to spend a small fortune on the secure storage of the Deeds for all property they had in mortgage. The Halifax, for example, has many miles of shelving in deep underground bunkers below the town of Halifax. The test used to be to have the storage nuclear bomb proof: today the space could become a mushroom farm. The information is readily available from the LR for the asking and a modest fee – currently (pounds) 4 per item – this includes the title itself, the associated plan, any restrictive covenants, many easements, and all rights of way, plus the full lease where the property is not freehold. A copy of the title itself can be obtained by anybody for just £2. With this information to hand your solicitor or licensed conveyancer will be able to draw up the initial contract. The buyer’s adviser can check any aspect with LR but mistakes are all but non existent – a mere handful although the LR regularly deals with several million transactions a year. The LR will also have a full record of any legal charge against the property from any building society or bank which has lent mortgage money. Many lenders no longer bother to hold the deeds and rely on the appropriate confirmation from LR. All they then hold is a copy of the Charge Certificate. The original Deeds used to be passed over on completion and sent off to the building society for safe keeping: these days the lenders do not want the unnecessary paper! This simple word has three common meanings in connection with house purchase although its original purpose is going out of use. The first general reference to a ‘deposit’ can often mean no more than the personal contribution towards the price of the property – in other words, it is the difference between the purchase price and the amount of mortgage being borrowed. This is the amount of capital or equity being put into the transaction in the form of cash which may, of course, come from the sale of your existing home. The second refers to a small holding deposit which is sometimes paid initially once an agreement is reached, ‘subject to contract’. This has no legal significance but is merely paid as a sign of good faith. It may be called a pre-contract deposit. Although in most parts of the country this practice is dying out, it had some merit since it served to give the seller confidence that the prospective buyer was serious in his intention to buy the property. Both parties could draw reassurance from this sign of good faith, even though there was no binding commitment on either side. Traditionally it would have been 1% of the agreed price but for convenience this pre-contract or holding deposit should not exceed £500 as at that level various regulations come into play. In any case you should never pay a deposit unless you are confident the estate agency is ‘bonded’ and even then you should make sure you get a full receipt setting out all the information specified by the Estate Agents (Accounts) Regulations 1981. If in doubt talk to your solicitor first. As remarked, among estate agents this practice has largely died out. It was not binding and had no practical effect yet some prospective buyer thought it meant the seller could not consider other offers. This misunderstanding could cause aggravation and the book-keeping made it an extra and unnecessary exercise. Unless agreed otherwise before the money is paid over, it is fully refundable. In contrast, when it comes to the purchase of a new property under construction, reservations are only accepted when a holding deposit is paid. Most new property developers publish a clear explanation of their terms of business which will specify the amount of the deposit and whether it is fully or partially refundable. It should also explain exactly what time scale applies. A deposit may be good for 28 days, after which time the seller may reserve the right to re-offer the plot or reconsider the price. You must ask the sales representative about this and make sure you know the full terms and conditions that apply. Technically there is a further aspect relating to a deposit in these circumstances. The question is who has control of the money in question. If it is paid over to a ‘stakeholder’ that means it remains your money throughout which means you may ask for it back at any time. It is always under your control until exchange of contracts. Deposit money should always be kept in a separate account and not made available for the sellers (or the development company) to use. The accounts involved will be designated as Trust Funds and therefore should be adequately safeguarded. The alternative is that the pre-contract deposit may be paid over to the salesperson as an ‘agent for the seller’. It may still be refundable on the agreed basis within the specified time scale but the seller is allowed to use the money as working capital in the interim. If the prospective buyer wants the money back, it must still be paid but it is not then under the control of the salesperson who will have passed the money on to the company or the seller-clients. This means any refund may take a little longer to organise. The third definition relates to the contract drawn up for the sale which normally requires payment of a ‘deposit’ at the time contracts are exchanged. This contract deposit will usually be 10% of the purchase price, but a lower figure could be agreed in certain circumstances – for – example if the purchaser is obtaining a 95% or 100% mortgage. You should also discuss the exact legal status of your deposit with your solicitor or legal adviser in relation to the purchase of an existing house when it is part of a chain of transactions. In many cases the deposit may be taken by the seller’s lawyer acting as an ‘agent for the seller-client’. That would allow the seller to use this money as part of his own deposit for the property he is buying. This procedure is commonplace but does carry a small risk that – in – the highly unlikely event of a problem – the – money, which has been used in relation to several inter-related transactions up the chain, may be insufficient to cover all the associated abortive costs. In due course, the person responsible for the default will still have to cover the resulting extra expenses. Easements are legal rights attached to the ownership of the property – for example a right of way or some other legal benefit which the owner of the property enjoys over an area of land not in his ownership. It is in some respects the reverse of a covenant. Your easement over an adjoining property, may be written into their Deeds in the form of a covenant in your favour although these are not necessarily recorded by the Land Registry. Your solicitor will check into the validity of those which apply to the property you are thinking of buying. This type of mortgage advance used to be popular: it was commonly taken out in conjunction with a special related insurance policy. More recently they have been criticised as some policies will have been better than others and many are paying out less than the value of the mortgage loan initially secured. Under this type of scheme interest was paid regularly – monthly or quarterly – but – the main loan remained outstanding until full repayment was due at the end of the term, hopefully from the proceeds of the endowment policy. Some insurers will still pay out a sum that exceeds the outstanding mortgage – but not many. The actual bonus depends upon the success of the particular policy. Few endowments are now being sold, These days there are a wide range of mortgage schemes and our specialist staff will always be able to put you in touch with up-to-date expert advice. This may sound an impressive term which actually means the final copy of a document where all the agreed amendments have been incorporated. It is the clean, final version of a Deed prepared for signature by the parties. An engrossed lease is one which has been formally witnessed, signed and dated. An equitable interest is one which would be recognised by the Court of Chancery. It is enforceable in limited circumstances as opposed to a contractual obligation which is strictly enforceable regardless of who is involved. Contract law may be certain but it is not always fair. An equitable interest usually carries with it a significant element of fairness. An equitable interest will not necessarily be registered by Land Registry and may drop away if a later purchaser of the property was not, and could not reasonably have been, aware of the equitable interest before entering the contract. Accordingly, anyone with an equitable interest in a property should talk to a solicitor about having the matter registered as a covenant to maintain its long-term validity. We are not middle men nor independent brokers! You must understand that, as estate agents, we are employed by the seller-client to help market their house. Estate agents are said to act on instructions from the seller-clients. That means what it says: we take instructions from our clients. It is part of our job to advertise the property on their behalf, promote it widely and, during the sale negotiations, offer them our professional help and assistance. You will appreciate, therefore, that we cannot offer specific advice to prospective buyers. For example, we are not able to advise you about your offer. In this respect you must make up your own mind or take your own independent advice. You can be assured we will be totally fair, open and honest in all the negotiations. We will always pass on every offer we receive. Indeed that is a legal obligation which gives us little discretion. And this critical obligation applies right up to exchange of contracts. We will always tell you whether there are any other offers for the property although naturally we cannot reveal the amount involved. Negotiations are conducted by private treaty which means that the terms are not made public but are confidential to the parties involved. You must decide what the property is worth to you. We will discuss this with the seller-client who may accept it or make a counter-proposal. At this stage the negotiations, while confidential, are all conducted ‘subject to contract’ which means any agreement is not then binding on either of you. Once a sale has been agreed, subject to contract, we will keep a weather eye on the transaction throughout to make sure everything goes through smoothly and in accordance with our client’s instructions. Because an estate agent is not an actual party to the contract, nor a legal adviser, it means we are better placed to advise and keep in touch with all parties in a vital liaison role. Indeed the importance of the estate agent should not be underestimated. Not only can we keep our finger on the pulse of the local market but our office can act as the central nerve centre throughout. We see this as a major part of our responsibility and will do all we can to offer assistance with any problem that arises. This is the crucial step. It is the point when both sides are committed and, in effect, the deal is done. All the earlier negotiations will have been conducted ‘subject to contract’ and are now unimportant since the main terms will be incorporated in this legal agreement. The buyer is then bound to buy the property while the seller is equally bound to sell. Contracts for sales arranged by private treaty are not initially public documents. After completion, when the transaction has been recorded at the Land Registry, information about the price paid and the legal mortgage charges are technically in the public domain. Copies are then available on payment of the appropriate nominal fee. In an auction, exchange of contracts technically occurs when the auctioneer’s hammer falls and the highest bid is then accepted, subject to the general conditions set out in the auction particulars and any special conditions relating to individual lots. In that case, of course, all the terms, and the price paid, are in the public domain. In the case of private treaty negotiations the actual exchange is normally instigated by the purchaser’s solicitors sending a copy of the contract signed by his client to the seller’s solicitor together with the agreed deposit money. The solicitor will check that the terms match exactly with the copy he has had signed by his client. Technically the moment of exchange occurs when this second contract is put into the post. Where several sales are involved, simultaneous exchange of contracts is usually arranged by telephone, with all solicitors involved giving the appropriate undertakings to the others. When your solicitor sends you the contract for signature, don’t waste any time – read it, sign it, and take it or send it back to him immediately. Time may well be of the essence. This means signing, sealing and formally delivering a Deed or contract thus becoming a done deal. Following execution all parties are bound by the agreement which is no longer ‘Subject to Contract’. The contract in question may still be conditional but the conditions will be set out in the deed and no longer implied or negotiable. Most estate agents will employ or work closely with a financial adviser who may be closely regulated by an authorised financial institution, usually an insurance company, or an independent financial adviser, who will be regulated through the Financial Services Authority. The first will be called an Authorised Representative, the second either an Independent Financial Adviser or an IFA. You will be given a written terms of business letter so that you will know who you are dealing with. Both are required to go into your personal circumstances adequately in order to give you best advice. You do not have to answer their questions but this may mean they recommend a less appropriate product. The difference is that the representative is only authorised to talk about the policies and products available through his own company while an IFA may recommend the best products from all those on the market. Incidentally you are not bound to accept any advice and may buy any product you wish but in that case the financial adviser may want you to sign an indemnity making it clear this was your decision and not his specific advice. We consider that this to be one of the most important aspects of our estate agency service and want to ensure that you have access to the best advice. We are required to advise our clients about the merits of your offer for their property but believe that we can actually help our clients by ensuring all our applicants and prospective buyers have professional help and guidance over the financial services side. The seller-clients have agreed to allow us to offer you this valuable assistance. This expression means those of you who are purchasing a home for the first time, and therefore do not have an existing property for sale. If you fall into this category, always mention the point at the outset, since there may well be special mortgage schemes or facilities available exclusively to first-time buyers which our financial adviser can suggest to you. Having said that, a sincerely meant word of advice is not to commit yourself too quickly to any special scheme you are offered! Think carefully first and take advice. For example, many builders have special incentives which are widely promoted and sound attractive – but are they really right for you? Only if it is the property you really want, and where you really want it. If any form of subsidy is offered, work out who is funding it and what they are getting out of the exercise! You may be tied into taking future mortgages through the company for example. Some schemes are beneficial, but do just check it out first. These are any items in the house for sale, which are not part of the structure as such – for example – curtain rails, wall-hung bookshelves etc. Our particulars will indicate the main items included in the sale, but we do strongly advise that you agree a written list with the sellers and let both solicitors have copies. Curtain rails and light fittings may sound unexciting, but can save a lot of money and a lot of work if they can be acquired in situ. From the owner’s point of view when moving out, there are many other things to do, and unscrewing all the fittings is something many people would prefer to avoid – so the idea usually suits both parties. If a payment is agreed, make sure you both know whether it is to count as part of the purchase price – or as an extra. Property deals worth hundreds of thousands have been known to fall apart after disagreement over a few pounds-worth of fittings. A flat means that two or more individual homes are part of a single building. They may have been purpose-built, in which case they should be highly mortgagable, or converted from a large building – in which case you will need to take special advice about the mortgage potential. Upkeep of the common parts of the building – for example – the hallway, staircases, etc. is usually the joint responsibility of all the occupiers and maybe handled by a firm of management agents. Technically a maisonette is a flat which has its own independent outside door and no internal areas which are shared responsibility. A common misconception is to think of a maisonette as a flat on two floors. This is incorrect, one can have a one-floor maisonette, and a flat (or an apartment) on two or more floors. In both cases there will be certain external maintenance agreements shared with other nearby owners, various easements and covenants, but your solicitor will explain the implications of these. Flats are usually leasehold. Various attempts have been made to achieve ‘freehold’ flats and there are a few around however we suggest you talk to your solicitor about these at the outset –as some schemes work better than others. In due course leasehold law will be modernised – and replaced by ‘commonhold’ which is sometimes called strata title. That said, a soundly drawn long-term lease need be no more trouble than a freehold. Incidentally an apartment is an expression which can mean either a flat or a maisonette. A one-bedroom flat will have a separate bedroom and living room while a bed-sitter will only have a single dual-purpose room. These are most commonly found in old cottages which, though freehold, have an area of one property which overhangs the next-door cottage or a joint passageway. They can also occur underground where a cellar area may extend beneath adjacent property – sometimes totally unknown and unrecorded – and they occasionally arise from a conversion scheme. The majority of flying freeholds will have existed for years and give no trouble, so much so that owners genuinely forget their existence. Many flying freeholds are impossible to spot unless the neighbour owns a substantial room where the measurements on one floor obviously differ significantly from the others. Occasionally this type of overlap may also arise in houses which are actually leasehold so to call them a ‘flying freehold’ would be incorrect while the necessary covenants should be part and parcel of the lease. If aware that a flying freehold exists estate agents have to decide whether to mention the point in the sales particulars – drawing attention to a relatively minor legal aspect of title may imply it is a potential problem which is rarely the case and no different from any other encumbrance on the title. Accordingly, if we believe the arrangements relating to a flying freehold are trouble-free, we will not normally even mention it. If the arrangement is in any way unusual, or there is a specific agreement with the neighbour, we will refer to the existence of the flying freehold and suggest that, if concerned, you ask your solicitor to check it out. This is the right of a mortgagee to take control of a property and sell it off regardless of the wishes of the owner. The bank or building society will then be exercising its power of sale. This right to foreclose will have been set out in a mortgage deed. It is the ultimate safeguard open to a lender which cannot get its money back in any other way. If all else fails, and the court agrees, the bank or building society can foreclose. The mortgagors, the borrowers, will only be at risk of foreclosure if they fall significantly behind with the agreed repayments or interest payments. In other words, providing the original payment schedule is being maintained, a mortgagee has no right to take possession of the property. A right to foreclose only arises if the date stipulated for the full repayment is passed or, if the mortgage deed states that the full outstanding loan falls due once a certain number of individual payments are missed. Other than in exceptional circumstances, no court will grant possession after just one or two arrears. There must be a pattern of failure and little prospect of recovery. In either case, in relation to a residential property, a foreclosure requires the approval of the High Court. If a reasonable repayment schedule can be agreed – and maintained – then the lender is unlikely to be granted a possession order. The safeguards against eviction are strong. The courts do all they can to avoid granting a final possession order which will usually be suspended for at least six months. Most lenders will accept suspension of their possession application – subject to a revised repayment schedule – unless the property is in negative equity (q.v.) and the shortfall likely to increase the longer matters are left to run on. Then the delay may be opposed. Obviously, one should not take on a mortgage lightly or without sound professional advice, but if you run into problems please take advice immediately when there will be more options open. Once you are in arrears the lender is in control. This effectively means the outright ownership of a piece of land. You will enjoy an unchallenged right to occupation of the property free from any specific responsibility to anyone else. This arrangement is fine for most property, but can cause complications for flats. As mentioned above, freehold flats do exist, and there may be more in the future. Don’t turn a freehold flat down out of hand, but do check the legal position with your solicitor as soon as you can. A garden is the area of private land around the buildings. An estate agent will only describe the garden in detail if it is the major feature of the property. If the exact nature of a garden is critical to you ask the agent to give you more detail by telephone, but whatever he may say, there is no alternative to a personal visit. Do not dismiss any property just due to the reference to the size of its garden. A large garden could be easily maintained while a small intricate garden can require constant attention! Equally a large garden is not necessarily a guarantee of privacy. A small well screened plot can be very private indeed. Hence our advice – always go and see! Some flats have communal gardens. Quite often the other flat-owners may be happy for you to take a personal interest in the garden, or part of it – especially in small schemes. Your doing the work, may save them money! Get your solicitor to investigate early on as this may be handled through an informal residents association. This expression is thought to derive from a Yiddish term for a swindle and is widely misunderstood. Many people claim to have been gazumped when they have merely lost a property to another buyer who made a higher offer. On that basis everybody – bar the eventual highest bidder – at a public auction could claim they were gazumped! When a sale is being handled by private treaty negotiation the various bids are not made public. 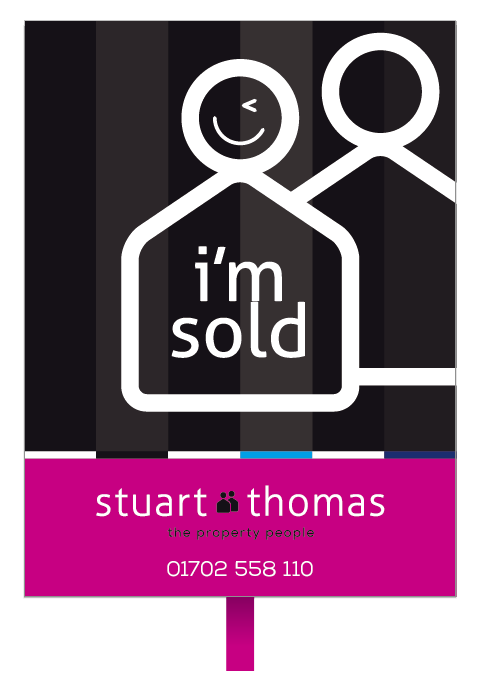 As estate agents our duty is to handle the sale on behalf of the owners and we must report every offer we receive. We will also pass on any additional information that prospective buyers want us to submit. We do this impartially and will not knowingly mislead anyone involved. What we are not entitled to do is tell one prospective buyer what another rival buyer has offered – without the full agreement of both parties. And, of course, we have no say in which offer the seller-client accepts. Furthermore, we cannot pretend we have an offer that does not exist nor may we deny that we have a number of different offers when that is genuinely the case. There are strict regulations covering all these aspects of sale negotiations. They were drafted by Government lawyers to reflect best professional practice which we would always follow. So what is gazumping? Remember that home owners have an absolute right to sell their property to whomsoever they wish. They need not necessarily accept the highest offer and they may also change their minds over any aspect right up to exchange of contracts. In practice gazumping occurs very rarely. It happens where all the terms for the sale have been arranged and matters are in the hands of the respective conveyancers when a higher offer is received at a late stage and the owner tempted to accept. Sometimes the first buyer does not know about this (to them unwelcome) development until their contract is returned. At other times the owner may instruct his estate agent to contact the first buyer to report that they have received this further offer and ask whether they want to equal or better it. That is gazumping. Sometimes this will arise when the seller has accepted an original offer which was on the low side for the current market conditions – especially when prices were rising. Then another buyer comes along who realises the property’s true worth and puts in a significantly higher bid facing the owner with a dilemma. Being fair to the owner, this first prospective buyer has lost the chance of snapping up an under-priced bargain at his expense. We always aim to price our properties realistically, advertise them extensively and endeavour to agree a fair price to both parties at the outset. However, the price initially agreed is always subject to final negotiation and, as remarked, we are legally obliged to pass all offers to our clients right up to the exchange of unconditional contracts. Effectively, in this respect, we have no option. But equally we have no real say in any decision to gazump. There is only one real answer: exchange contracts very quickly. The fact is most transactions move ahead at a speed dictated by the prospective buyers, quite possibly held up by the slow sale of their own property. These days, with registered title and the rapid progress of electronic conveyancing, there is no reason why contracts could not be agreed in a few days rather than weeks. One suggestion would be to offer to exchange contracts quickly while leaving the completion date open to later negotiation. The seller may be flexible and happy to agree to a delay. This would much reduce the chances of your being gazumped. No promises, but it is a thought. Some solicitors have devised a form of lock-out agreement (q.v.) – purported to reduce the risk of being gazumped. These are, in effect, an option to exchange contracts within a pre-agreed period of time. In some cases these quasi-agreements may even work although one cannot have a binding agreement to enter a future binding contract – the first agreement would then be the contract. This is the rent payable in the case of leasehold land. Normally a fairly small rent will be payable to the freeholder – usually annually – but the details will be set in the lease. In the case of flats, there may be more than one form of ongoing rental liability plus service charges, etc. Do check. Guarantors may be required by any lending institution which is uncertain about whether to offer a loan to a particular person – maybe a student who has yet to receive a firm offer of employment. They may consider doing so if a guarantor can be found who is prepared to become party to the mortgage deed and accept a joint liability. These are a new type of report which can be included in Home Information Packs on a voluntary basis from June 1, 2007. If they prove successful, they could become mandatory later. The original intention was for them to be a mandatory element of the Packs from the outset, but the Government announced in July 2006 that they would be replaced as a mandatory element by an Energy Efficiency Report for every home for sale. Like the HCR, the EER will be prepared by a new type of professional person called a Home Inspector. He may well be a chartered surveyor but not necessarily so. Either way he will be trained and accredited and carry Professional Insurance cover to prescribed levels. Generally this term covers any property where the individual rooms are let out and it is not being occupied as a single family unit. The law on this matter is complex and interpreted very differently by some rural local authorities compared with the larger Metropolitan Boroughs which often set high standards for fittings, general maintenance and especially the fire precautions. This reflects the statistical fact that deaths from domestic fires are several times higher in HMOs than in normal homes. The Homes Act 2004 has set out provisions which will allow the Government to introduce tighter regulations about HMOs. Some local authorities do not count letting a single room to students, or whoever, as creating a Home in Multiple Occupation (known as HMOs) and others have already introduced bye-laws stating the minimum number of occupants that constitute an HMO. Generally, purpose-built flats are not HMOs but where any domestic facilities are shared the matter becomes debatable. For example, if the tenants share kitchen, bathroom or toilet facilities then the property is almost certainly an HMO. Improvements grants used to be available through local councils to help with the cost of improving run-down homes to bring them up to a decent standard. These days this single scheme has been replaced by a number of more specific grants for closely defined purposes, for example, for those with physical disabilities, or to improve the energy efficiency rating of a property. They are all discretionary grants and in each case subject to an appropriate means test. In theory they can be claimed by any home owner, landlord or tenant. In practice as councils have few funds to allocate most set strict criteria and little money is actually available. The Housing Grants, Construction and Regeneration Act 1996 defines the various types of assistance still available. These include house renovation grants; common parts grants; HMO grants; disabled facilities grants; home repair assistance; group repair schemes; and relocation grants. The conditions and qualifications vary while the legislation gives local authorities considerable individual discretion. If you think you may qualify for assistance under any heading, we suggest you talk to the Local Council for initial advice. This means the idea of linking a certain value to an appropriate index measuring inflationary change. Some savings schemes are index linked, and ideas have been put forward for index linked mortgages. Briefly, the interest rates would be lower than normal, but the amount of money owing would be related to the value of the property and would rise in step with house prices indices. This is a new and largely untried concept in home mortgages and, maybe, best avoided. The exception might be an offer of an index-linked mortgage, which enables you to buy a property that would otherwise be too expensive for you – nevertheless think long and hard before entering this commitment. If in a few years time your house value may well have doubled – more than likely – but so will your outstanding mortgage! Insurance is a vital form of financial protection in case something untoward happens. You should insure your property against all-risks, most mortgage lenders will require this anyway. You should also insure your personal possessions separately – though many lenders offer comprehensive contents cover which is worth thinking about. There are now many types and variations of mortgage, but the minimum we would recommend would be mortgage protection insurance just in case anything should happen to you when it should, at least, pay off the outstanding mortgage. This is an important aspect of any house purchase, and you must take good advice. Our financial adviser will be able to show you various schemes tailored to suit your individual requirements. Remember, the house becomes your responsibility from exchange of contracts so you ought to insure from that point in time, just in case. Interest is a payment due in exchange for the loan of money. The rate of interest may be varied under the terms of most mortgage agreements. Sometimes the interest will be calculated on the annual balance outstanding, which is slightly different to the annual percentage rate. Ask your financial adviser to explain how the various lending institutions quote the equivalent APR. As interest rates change the amount due as the mortgage repayment may vary. Some lenders notify every borrower of every change – which can be an expensive process when rate changes are more frequent. Some have opted to make annual adjustments, or specify variable direct debiting as the only acceptable repayment method. These days most property will be available on the Internet sometimes with the full particulars accessible, other times listed more briefly by whatever criteria matter most – location, price range, type, etc. With the increasingly sophisticated technology and faster transmission speeds, virtual tours of property are now possible. This feature may help save time travelling but they can distract: what you are looking at is the way the present owners have it furnished and decorated. That is not what is for sale! You are merely buying the bricks and mortar. And maybe a few carpets. If anything looks remotely possible, please go and see it! That said apart from the massive number of property sites on the internet – called property portals, incidentally – there are many other sources of local information available. Most estate agents will have their own sites – featured in their advertising – but in addition they will also list their property on the large property portals, sometimes several of them. As a result you may be offered the same house a number of times even though only the one agency has it registered for sale. It sounds complicated but it is not. Best advice is to talk to that agent and not the intermediaries who will not have any further information and thus not be much help! Virtually every town and district will have its local information on a website and will give you an idea of the character and facilities which may help you decide where you want to be, but more useful for serious home-buyers are specialist sites which are designed solely for house-hunters. There are many but try www.upmystreet.com, enter the postal code of your intended purchase and away you go – hours of fun and information. There are some sites which offer environmental information – is the property liable to flood, built in an area of old mine workings, etc. Try www.homecheck.co.uk for starters, or www.tmproperty.co.uk which also offers legal searches. In a few years the answer to everything will come from www.earth.google.com – a fantastic project, try it and see! Unless you are single and planning to remain so, it is always advisable to buy the property in joint names with your partner. The bank, building society or mortgage lender, will require joint signatories to the mortgage application, even if this is based on only one income. You both sign the application, both sign the purchase contracts, and both own the house equally – it is generally easier this way, but again if in doubt ask your solicitor. Legally you will usually become Joint Tenants which means the survivor automatically inherits the property. Alternatively, you may prefer to own your own share which is a more business-like approach when you will be Tenants in Common. This legal expression has nothing to do with renting property but relates to buying a home. When you buy a property with a partner you have a choice of ownership. The most common, as Joint Tenants, means you share the obligations of ownership equally. Accordingly, on death, the surviving partner automatically inherits the whole property. The alternative, Tenants in Common (q.v. ), means you only own a pre-agreed share of the property (usually 50% of course). However, on your death, this share can be willed separately and need not necessarily be left to your partner. Keys are simple things which create a disproportionate number of problems! When you put your property up for sale it is advisable to let a trusted neighbour and your estate agent have a key so that they can obtain access to the house if necessary. Make sure the estate agent takes particular care over custody of the keys, which should be coded and never labelled with a specific address. When you come to move, collect all the household keys together, label each one clearly, and make arrangements for handing them over to your buyers. When you come to move into your new home remember the estate agent will not be able to release the keys to you until he receives formal authority to do so from the seller’s solicitor. Check with your solicitor in advance as to when this is likely to occur. Then, however many keys you have acquired from the former owners, remember there may still be others around somewhere – so for your security and peace of mind immediately replace all outside door locks. It may seem a fiddle at the time, but to do otherwise would be risky and a false economy. Incidentally, this comment applies whether buying a new property or a secondhand one – builders’ locks sometimes come from a very small range and various tradesmen may have copies – be safe rather than sorry! Historically, the Crown was the only absolute owner of land in England and Wales and over the centuries various Monarchs have created various new forms of tenure: the Law of Property Act 1925 reduced these back to just two – generally known as ‘freehold’ and ‘leasehold’ – although land could still have the benefit of, or be subject to, other interests, rights and obligations belonging to third parties, often neighbouring owners. This legislation paves the way for the most radical reform of conveyancing practice since the Sale of Property Act 1925 – and the Law of Property (Miscellaneous Provisions) Act 1989 – which it effectively replaces. In registered conveyancing, there is a single statement of title as it stands at any given point in time, which is guaranteed by the LR on behalf of the State. If any person suffers a loss as a result of some omission or mistake in the register of title, they are entitled to be indemnified for that loss. The 1925 Act has been amended several times to improve conveyancing, but rather than change the underlying law, the amendments left many definitions which seem obscure and confusing. The 2002 Act is more radical and introduces a new system for dealing with the transfer of land electronically. It creates the necessary legal framework to enable all registered conveyancing to be conducted on line. Eventually it will be possible to investigate title to land on line, with a minimum of additional inquiries and inspections. The execution and registration will then become simultaneous with the process initiated by conveyancers although access to the network will remain under the control of the LR. The new system will require new methods of working by the Registry and conveyancing practitioners alike and hence is to be introduced in stages which the Lord Chancellor will regulate by Order. However many of the benefits of e-conveyancing can only be maximised once it is used universally and accordingly the Lord Chancellor has the power to make the use of electronic conveyancing compulsory in due course. The Act also reduces the length of registrable leases from those for 21 years or more to those exceeding seven years which the Lord Chancellor could reduce still further, probably down to five and then two leaving omitting just Assured Shorthold Tenancies. Important changes apply to ‘overriding interests’ including all the encumbrances, interests, rights and powers which, although not entered on the Register, could have become an overriding registered dispositions. This concept created a number of problems and most of these anomalies are being abolished altogether or phased out over ten years. Charge certificates will be abolished, and land certificates will have a less important role. New arrangements will protect the interests of registered owners against the acquisition of title by persons in adverse possession, or ‘squatters’ (q.v.). Finally, the Act revises the arrangements for the handling LR business with a new system of independent adjudication of disputes. It aims to restate the law in modern and simple language. The HM Land Registry (LR) is an invaluable national resource: it was regularised in legislation in 1924 although the compilation work had started in 1850. The most recent legislation was enshrined in the Land Registration Act 2002 (q.v.) which sets out the new procedures for totally electronic operation and conveyancing. Today, it has become a major database which records the current ownership of nearly 98% of all residential property in England and Wales. Incidentally, there are separate Registries in Scotland and Northern Ireland but this facility for the State to, in effect, guarantee title is uniquely British. The LR is a Government agency and entirely self-funding. Registration is compulsory when any of the remaining unregistered properties are sold or mortgaged. This means the remainder will be added as quickly as practical although 100% can never achieved as some of the unregistered titles will never come on the open market and some land has no known owner. Not only does the Land Registry hold the full title information on some 20 million properties but it is fully computerised and open to public inspection. The information is available as a hard copy by post, or in electronic format down the line to anyone holding an account and the necessary access code. To the legal profession an LR title is proof of ownership and it comes with an unconditional guarantee due to the extremely high accuracy of the database. The inspection fee is nominal – currently just (pounds) 4 per item. The information available includes a description of the full title with the title plan based on the Ordnance Survey data. All restrictive covenants, many easements, and all rights of way will be listed together with a full lease where the property is not freehold. From April 2000 the data will include the price paid the last time the property was sold. The LR also has a full record of any legal charge registered against the property by a building society, bank or mortgage lender which has lent money or taken a second charge. The larger building societies used to hold many miles of property deeds in secure storage. These days deeds are effectively waste paper – all that matters to the institution is the title number on the single sheet Land Charge Certificate. This type of tenure means you – in effect – own a right to occupy the land or a particular property for an agreed period of years, for which they pay a ground rent to the person owning the freehold (or a superior landlord). Modern leases, which are clear and concisely drafted, can be very satisfactory but many old leases are rambling, contradictory and very much ill-drafted documents which need to be read and interpreted with care by an experienced lawyer. Incidentally, as the leaseholder you are legally called a lessee while the person who granted the lease originally, usually the freeholder, is called a lessor. Normally a lease expires at the end of the specific number of years but there is enfranchisement legislation – the Leasehold Reform, Housing and Urban Development Act 1993 – which allows leaseholders jointly to acquire the relevant freehold. There are also provisions which allows flat owners to take control of the management of their block. Inevitably, there are complex terms and conditions and the regulations are not straightforward. It is unlikely that anyone could carry out this work without specialist professional advice. Start by contacting LEASE on 020-7493 3116 which can suggest local experts. Most mortgage lenders will fund the purchase of mortgage leasehold property, providing a reasonable period of years would remain after the loan is repaid. The interest rates and terms may vary marginally, and your solicitor will be able to explain the implications. Following steady growth in non-solicitor conveyancing, in 1986 Parliament regularised matters be setting up a new Council to license people offering just conveyancing services. These licensed conveyancers are qualified to handle domestic property sales and must have full indemnity and bonding insurance. Anyone using a legal adviser of this type should check their credentials carefully and ensure they have a current licence. That done there is no reason why a licensed conveyancer should not offer a competent service comparable in all respects to that from a firm of solicitors. Incidentally, throughout these notes, we have generally referred to solicitors, but this could equally well mean a licensed conveyancer or any qualified legal adviser handling the conveyancing work on your behalf. Legally, a lien can be quite a complex issue so please bear in mind that this is a highly simplified commentary. Generally, in property terms, this means an informal equitable charge over some of the proceeds of sale. For example, when a seller agrees to pay the agent’s commission and his solicitor’s legal charges from the funds on financial completion. These two professionals are then said to have a lien for their fees. This type of lien does not override any legal charges which must be paid off first. If the sale proceeds are inadequate to repay the outstanding mortgage and the liens, the mortgage always takes priority. The holder of a lien has no right to require the owner to sell the property unless there is a separate contractual agreement which could be enforced. For example, if the purchase price has only been partially paid, but the buyer has already taken possession, the seller retains a lien over the property for the balance of the sale price. While he cannot force the buyer to sell up without a court order this would prevent the buyer reselling the property without discharging the earlier lien and paying over the outstanding money. The expression can also cover many other situations not related to a property sale. For example, an architect may have a lien on the plans he produced for a client’s property until the client has paid his professional fees. Or a carrier may hold a lien over goods until his delivery charges are paid. In England and Wales over 450,000 period properties are listed on a Statutory Schedule as being of Architectural or Historic Interest. Of these about 6,000 are Grade I listed, however, very few of these landmark buildings are in private ownership and rarely, if ever, come onto the open market. The majority are listed as Grade II with the most important of these being Grade II* – called Grade Two Starred. This category significantly restricts the owner’s rights to convert, or even redecorate, the property without specific permission. On the plus side, sometimes a grant will be available towards the upkeep but this may well be conditional on your agreeing to open the property to the public for a minimum number of days each year. If you are interested in owning a listed property, or have the opportunity of buying one, there is an excellent source of information – the Listed Buildings Information Service maintains a comprehensive database and if you telephone 020-7208 8221 they can supply the full details of any property – from its complete history to details of which particular features are responsible for the listing. Furthermore, the service is free of charge. Alternatively, you can fax an enquiry to 020-7224 5333 but this may take some time to receive a reply. Bear in mind that obtaining planning permission within the environs of a listed property can be somewhat complicated. Grade II applications can be determined at Local Council level but anything relating to Grade II* must be referred on to the Department of the Environment and English Heritage and accordingly can take many months to negotiate. Many lending institutions offer a special type of mortgage, designed to help first-time buyers in particular, where the initial repayments are reduced, increasing progressively for the first few years until the correct repayment level is reached. These can be helpful, but if you move in the early years, you may find that your mortgage has marginally increased, certainly little will have been repaid. While worth considering, as with all financial aspects, you must take professional advice first. When you see a note about all main services, it implies that the property has electricity, gas, water and main drainage connected, unless stated otherwise. That said, if gas is particularly critical to you, please check specifically, since some villages have no gas supply and hence nobody thinks to mention it. Private drainage will mean either a septic tank, which will need emptying infrequently, or a cesspit which may require more regular attention. Don’t dismiss either out of hand as both systems can work well – and the water rates will be less than would otherwise be the case. This saving can often exceed the maintenance costs. A telephone service is normally available nation-wide, and increasingly cable in urban locations, but again please check what is connected to any property you are looking to buy as these connections are not necessarily included in the expression ‘all main services’. These normally apply to blocks of flats, and represent the required contribution towards the cost of maintenance and upkeep of the common areas, gardens, car parking, etc. Your solicitor will be able to advise exactly what is involved and how the charges are apportioned. These were original devised to catch international currency offences, mostly drug money, etc. Banks had to report any suspicious transactions to the authorities. The system worked and a number of criminals were caught and prosecuted with illegal funds recovered. This success led to wider regulations and these also proved beneficially. The third set of directives now includes estate agents on the argument that many criminals use property transactions to legitimise or launder dirty money from the black economy or illegal activities. The latest regulations cover estate agents and solicitors who are supposed go through a procedure called ‘know your client’ (KYC) before accepting instructions. For estate agents the rules are fairly simple: we need to see personal identification such as your passport, a photographic driving licence or a fire-arms certificate – basically anything with an official photograph we can verify and record the reference number. Secondly we need to link the individual to the property for sale. Again this is easy enough – we need to see a Council Tax bill, utility bill, etc. It must have your name and the property address and be less than three months old. Mobile phone bills do not count. We may well know who you are but we need to be able to record the reference numbers and the date and then sign a certificate which the authorities can inspect if ever checking up on us! Hopefully this will not be inconvenient to you. Matters are more difficult where you are abroad and we cannot compare you directly with the documentary evidence. A certified identification from your solicitor or a doctor is acceptable but, technically, we are not supposed to accept instructions from anyone until satisfied that the KYC procedures were in order. Presently we are not required to take similar steps to verify the identity of prospective buyers (at least not from the money laundering aspect) but Brussels is working on a new draft EU Directive which will tighten the regulations. Don’t hold your breath. This means an agreement by which an institution agrees to lend you money, and as security takes a legal charge against your title to the property. Technically you grant a mortgage to the lender – bank, building society or whatever – in exchange for the loan. This means you are a mortgagor and the lenders are a mortgagee. Remember playing Monopoly? The Bank is the mortgagee. In the game, you may borrow half the value of the undeveloped site which is then said to be in mortgage. In reality, 50% can be a small loan but similar principles apply in real life. In practice, the lenders will have their standard mortgage Deed which will be sent to your legal adviser. He can advise you about this but it is not normally negotiable, consequently he may well be subsequently instructed by the lenders. This is a normal procedure, and will save a little time and cost than if the lender were separately represented. However, if any disagreements arise you should ask your solicitor whether he is in a compromised situation. Basically, the legal adviser will be required to confirm to the lenders that all the information given on the application form is true and that you have fully complied with the terms and conditions attached to the original mortgage offer. We trust that will be the case. From time to time there is talk of a standard mortgage deed but although this sounds a simple idea it is resisted by most of the lenders who regard the suggestion as being anti-competitive. Mortgage conditions and terms may vary, but the most common period, certainly for first-time buyers, is 25 years. Incidentally, this does not mean you have to continue paying the mortgage for 25 years. Most people move home from time to time and will then rearrange their mortgage. The average varies but few loans remain unchanged for more than seven or eight years. In any case, over 25 years house-price inflation will result in the outstanding mortgage reducing as a percentage of the market value. Mortgage repayments are normally made monthly with the first one being due a month after you complete the purchase. This will normally be by Direct Debit from your bank. Please budget carefully and make sure that you always keep up-to-date with your payments. The roof over your head is the most important investment you will ever make, and you want to establish a good name and reputation with your lender so that you can move and obtain a new mortgage in the future without any difficulty. If later you have other debts, please remember the mortgage is by far the most important to keep up to date. This expression came into general parlance in the late 1980s, when, for the first time in over 50 years, house prices fell on a consistent basis. For two hundred years residential mortgages have been the prerogative of building societies. With an effective monopoly they tended to adopt similar, conservative lending policies. However, in 1980, the Government granted the clearing banks greater freedom and they were soon competing aggressively for mortgage business. As minimal regulations were then in place the mortgage market expanded rapidly while other overseas banks and insurance companies saw house prices rising steadily and added further funding of their own. Many new mortgage lenders were also established. Without the expense of a branch network and relying on wholesale money sources at lower interest rates they introduced flexible, extremely generous and, as it soon transpired, short-sighted schemes. Due largely to this extra funding house prices rose sharply and this trend generated wider inflationary pressures in the economy. Reluctant to restrict the housing market directly, the Government was forced to increase interest rates and it was not long before property prices in some areas were falling almost as fast as they had been increasing a year earlier! Inevitably, once house prices and interest rates peaked, this left many people with extremely high repayment levels and mortgage debts which were greater than the falling market value of their property. The personal capital put into a property purchase in cash – the difference between the price being paid and the amount of money borrowed on mortgage – is called ‘equity’. With falling prices this element soon disappeared – especially for those who had taken out a large percentage loan when buying the home initially – this left a shortfall which was soon called ‘negative equity’. Negative equity was not necessarily a fatal problem. Reduced prices only effected those with a large amount outstanding on mortgage. However, as prices fell further, more people became affected. In some areas prices fell by over a third with most areas seeing house prices at least 20% down on earlier peak levels. By the early 1990s a significant proportion of home owners were in a situation where their outstanding loan exceeded the price the property was then likely to realise in the market. Negative equity became a major news story. In particular, it generated major problems in two areas – for home owners committed to a job-related move or those unable to maintain their escalating repayments. To assist the former category, some lenders were able to assist by, effectively, transferring the negative equity to another property. This was possible where the borrowers had a strong personal covenant (q.v.) and were likely to be earning a higher salary after the move. By far the worst problem thrown up by negative equity arose when possession proceedings were instituted by the mortgagees – the banks and building societies which saw the potential losses threatening their own commercial stability. When borrowers got into arrears the situation could deteriorate rapidly especially with house prices still falling. Lenders started to react quickly whenever a few payments were missed. As these empty houses did not command premium prices, it has to be said, many lenders panicked. Especially the new electronic lenders which had few cash reserves and little market experience. They automated eviction procedures as they had automated most other aspects! The result was a massive increase in the number of people being evicted as the courts, albeit reluctantly, granted the lenders a possession order. When all was paid and done, this procedure often left the former owners both homeless and verging on bankruptcy. Yet under the mortgage deed most were still liable for the outstanding shortfall – which the lenders were entitled to recover for a further period of six years. Soured and embittered by this harsh treatment few of these people will ever want to own their own home again. And who can blame them? With the gradual recovery of the housing market over the last few years negative equity is decreasing as a problem although the last 15 years has been a traumatic period for many. Presently prices are stable and maybe falling slightly but nobody expects another market collapse. This term applies to the professional salespeople employed by estate agents. For a start they are far more than mere salesmen! As estate agents we do not own the houses we have for sale. We represent the owners and our negotiators help to find a buyer and then to agree mutually acceptable terms for the sale. While price is important, it is only one of several factors that are material in the negotiations – our skilled staff are especially trained to handle these important transactions professionally with tact, consideration and a determination to succeed. A skilled and experienced negotiator can often find an acceptable compromise when there appears initially to be little in the way of common ground. If you have any problem at all relating to a sale or purchase, please talk to us sooner rather than later. Impossibilities are a speciality, miracles take a little longer! While obviously clean and built to the latest standards, you will either want a new home as first choice or will be totally uninterested in the suggestion. To some they lack character and are usually situated on a new development and not an established residential location. On the other hand, new homes are now better built than they have ever been before – no question. What is in question is whether you should buy a new home or look for an existing property which may have other features going for it – be nearer services, shops, schools and other social facilities. The older property may be bigger, and you will certainly have a greater range of choice. New property tends to be relatively expensive and rarely comes with gardens laid out and fully landscaped. Some work will be necessary which will either be the appeal or a major drawback – only you can decide which. Around 200,000 new properties are built for sale each year – the number varies with the strength of the economy generally and of the housing market in particular. A much smaller number of very old houses are demolished for urban re-development. While a few new houses may be large and luxurious, many will be family homes while the majority tend to be purpose designed and built to attract first-time buyers. Large developers usually sell their new homes direct from site with their own sales staff. Some of them will buy in a purchaser’s existing property in a form of part exchange – some will have publicised schemes for this; others will consider the suggestion on its merits. First-time buyers must be particularly wary of special new property offers or seemingly unbeatable deals! Think carefully – a small flatlet or new ‘cottage’ may seem so attractive – cheap to buy, to heat and to maintain, but for how long? You will soon acquire extra possessions, is there sufficient space? Is there a room for relatives to visit or for a baby’s nursery? Could you then afford it on one income alone? What may be the most critical question is whether you be able to sell it again? If so, who to? Won’t all your neighbours end up trying to sell for much the same reason at the same point in time? If the new property comes complete with carpets and other extras do remember that these will have little value once they are secondhand. We cannot over emphasise the importance of taking sound independent advice. Talk to us about other homes that we have for sale at a similar price. These might be older, some will need doing up but you will certainly get more space, probably more fun doing the modernisation work and are much more likely to sell it profitably when it suits you to move on. If you do decide to buy a new home, please select an independent solicitor to represent you and not the one the builder may recommend – you must be certain he is working for you; not for the builder. NHBC stands for the National House Building Council, which issues a formal ten year warranty on all new property built under its auspices. It will be difficult, though not impossible, to obtain a mortgage on any new property that is outside this scheme. In any case there are other similar types of warranty such as one offered by Zurich Insurance and Foundation 15 but approaching 95% will be NHBC. Basically the Council prescribes minimum standards for design and construction, while trained inspectors visit the new property under construction to ensure it is built in compliance with these standards. The builder will have given the NHBC an undertaking to repair any faults which arise within the first two years, while the NHBC insurance scheme will cover any major faults for the balance of the ten-year term which the builder is unable to rectify. A new house which has been built privately for the seller’s own occupation may not be covered by the NHBC scheme. It should however have been professionally supervised under construction and thus be covered by a comparable architect’s certificate or similar form of security. Without some warranty of this nature, it may be difficult or almost impossible to mortgage, and you should take careful advice from your solicitor before proceeding very far with such a property. While we normally recommend quoting a realistic asking price for property, the final sale price must be a matter for negotiation in the light of individual circumstances and the market conditions generally. If you could be interested in a particular property, please come and discuss it with us. If you make an offer, we can talk to our client, and usually an agreeable compromise can be reached. A word of advice to would-be buyers – we strongly advise against discussing actual offers with the owners – by all means tell them of your interest, but say you will discuss the matter with their agent, we have the knowledge and experience to help reach a mutually satisfactory agreement. This is the same advice we give to our seller-clients – if a visiting applicant wants to discuss an offer with you directly, please do not comment or commit yourself in any way – suggest they talk to our negotiator immediately. A better sounding buyer may appear a few hours later which will put you in a real quandary, but more important, we can investigate the strength and background to an offer so you have more reliable information to go on. While on the subject of offers, estate agents have always been obliged to pass all offers to their clients right up to exchange of contracts but, in 1991, specific Orders and Regulations were made under the Estate Agents Act which cover this and other aspects of estate agency work. Among other things, these require all offers to be passed on impartially and in writing. However, before submitting an offer an estate agent may well want to clarify the status of an applicant in two particular respects – the financial standing of the proposed purchaser and their ability to exchange contracts in an appropriate time-scale to suit the seller-client. The Order in question says that an estate agent must take reasonable steps to avoid giving the client false or misleading information. An agent must not misrepresent the existence, or details of any offer, or the status of any prospective buyer. This means there should be no difference in the way negotiations are handled with a prospective purchaser able to pay cash, than one relying upon the sale of a local property, or taking advantage of the agency’s financial services. Accordingly, we will always let you know if they is another offer in existence when you first express interest in a property and will put your proposals to our client taking their instructions. We may be their representatives but the clients take all the decisions based on the background information you have given to us. Much as you can part exchange your second-hand car when buying a new one, this is now possible when buying a new home with many developers allowing a prospective buyer to trade in their existing house in part exchange. So popular is the scheme that some leading developers sell the majority of their property in this way. Part exchange is now a big business in its own right. This type of transaction can have significant advantages for both parties. The new homes market was often cyclic – very busy or very quiet. The cycles reflected the second-hand market but with greater variations. If your home is not sold at least you can still live there but for a builder rows of completed but unsold property costs dearly. These days the number of part exchanges actually increases when the second-hand market is sluggish. There are several other factors in its favour, for example, a builder may be reluctant to reduce the price of the new homes generally as that would upset earlier buyers of similar property. By agreeing a generous ‘trade-in’ price for the existing house, the headline price of the new home remains unaffected. The second-hand house can then be sold on through a local estate agent by private treaty (q.v.) where the eventual sale price can be reduced through negotiation but the reduction is kept confidential. Often, empty and professional tidied up, these homes sell for a better price. The bank funding the part-exchange deal may set limits – for example, by stipulating that the new home being sold must be worth more than the house being taken in part exchange by a set amount. Half of the cash may be preferable to the new homes standing empty for longer while these transactions look like turnover in the accounts giving scope for creative accounting. From a new home-buyer’s point of view a part-exchange deal with a developer can avoid all the hassle of selling their existing property: it is quick, clean, certain and, usually, avoids any estate agency fees! When offered a second-hand house in part exchange the developer will have it independently valued by a competent local surveyor. Sometimes the owner may nominate his own valuer to negotiate with the surveyor advising the builders. In due course, a firm offer will be made and left open for acceptance for a short period of time. The buyer knows that he can exchange contracts and not get involved in the uncertainty of a chain of sales. This can be a strong incentive to accept. A word of advice: if you own a house which is proving particularly difficult to sell, the answer may well be part exchange. Then sell on the new house fairly quickly: it might be easier. As just remarked, most new home builders make these scheme work by having an efficient system for handling the part-exchanged resales. By dealing with a large number of part exchanges they can afford to take the rough with the smooth. Perhaps the price you are offered is somewhat less than you were hoping to achieve but at least you will have a definite sale – no more worry, no uncertainty, and no fragile chain. And even if you do not like the new home that much, it may still be significantly easier to sell on again in a few months time. From the builder’s point of view, most have an established system and refurbish each property as it comes into stock with a team of workers moving in the day after you move out. They will go through it quickly with a lick of paint throughout, tidying up the kitchen and bathrooms where necessary and, maybe, laying new clean carpet. This effectively ‘depersonalises’ the property widening its potential appeal. Sometimes they will be offered for sale with special mortgage facilities. Either way the house is no longer your problem. By this estate agents mean the detailed description of the properties registered for sale giving all the individual particulars about the property. They should give a fair description of the property, but are not the result of an accurate survey. The information is largely gleaned from the seller during the negotiator’s inspection of the property at the outset. You can rely on the accuracy of these particulars as Regulations made under the Property Misdescriptions Act say that any false or misleading information could be an offence. These days most property will be available on the Internet sometimes with the full particulars accessible, other times listed more briefly by whatever criteria matter most – location, price range, type, etc. With the increasingly sophisticated technology and faster transmission speeds, virtual tours of property are possible. This feature may help but they can distract: what you are looking at is the way the present owners have it furnished and decorated. That is not what is for sale! You are merely buying bricks and mortar. And maybe a few carpets. If anything looks remotely possible, please go and see it! Incidentally, while on the subject of property descriptions – estate agents generally talk about property as being either ‘post-war’ – meaning built since 1945; ‘pre-war’ – if built between 1918 and 1939, and ‘period’ – for anything built before the First World War. Property is not easy to date accurately, especially when modernised and adapted over the years, usually to appear to be more modern, but sometimes to imitate an earlier period. If the exact age of the house is critical to you, ask your solicitor to check from the deeds, or ask your surveyor to report his opinion on the point. The older the property, the less reliable will be any date you are given. Remember an estate agent’s particulars are drafted to help sell the property and outline the features which may appeal to a wide range of potential purchasers. However we do not want you to waste time looking at something totally inappropriate. So please check with us if there is any feature – garden size, outlook, local facilities, whatever – which matters to you. This is especially important before travelling some distance to a viewing. That said, in a few years time you may well be able to inspect (and probably print off your own copy) the Home Condition Report which will have some of this information included – at least relating to the property. While we try to keep our register of available property up-to-date, things can change very quickly especially in an active market. If you see something which seems attractive to you, don’t think about it for too long, follow it up immediately. You need not make a firm offer straightaway but once we know it is on your shortlist we can keep you informed of other interest. And if we know what you are looking for we can let you know as soon as anything suitable comes available – that’s all part of our service. Unless otherwise stated, residential property is sold on the understanding that the present owners will vacate on the financial completion of the sale leaving the buyers free to move in. In England and Wales, the contracts will make this matter clear and, once unconditionally exchanged, the seller then has no option but must grant full possession. In Scotland, vacant possession will normally be a condition precedent in the missives. This means that, if not fulfilled, the disappointed buyer would be entitled to generous damages and full costs although you will not be able to evict the seller provided he can meet the substantial financial penalties his refusal to vacate will occasion. Where a property is part let, the tenants may have a statutory form of tenancy which does not allow the owner to require them to vacate. If it were an assured Shorthold this tenancy could run to the end of the agreed term which could be anything from six months to (unusually) ten years. Whatever, the tenant could leave earlier but, assuming he pays his rent and observes all the associated covenants (q.v.) he has security until the end of the term when the landlord can obtain possession in the normal way. It is possible that the tenants may have an ‘assured tenancy’ which is not a Shorthold (q.v.). In that case, subject to paying the rent regularly and keeping to the agreed conditions, the tenant may continue in residence on an on-going basis. There are certain conditions when a court may agree to grant possession, for example, if the accommodation is needed for the owners’ own occupation (and it is his main place of residency), or if a mortgagee seeks to foreclose. Leaving these legal aspects aside there is nothing to stop an owner making the tenant a cash offer to vacate. This negotiation could reflect the increased value of the property with full, as opposed to part, possession. In either case, the property may be offered for sale at any time, but with part possession, it must be sold subject to the tenancy. That aspect will be valued on an investment basis and the likely time-scale for full possession. After factoring in this discount the sale price could well be lower again reflecting the more general inconvenience of having the on-going tenancy. This means a nominal or token rent – the minimum payment necessary to establish the legality of an agreement. It usually arises where the lease is a deed which does not need a significant consideration other than a token acknowledgement to recognise the landlord and tenant relationship. In practice a peppercorn rent is never demanded although occasionally a pedantic conveyancer may require the collective arrears to be paid off (or at least included) as part of the financial statement on completion of a sale. Among other aspects, the Estate Agents Act deals with cases where an estate agency may have a ‘personal interest’ in a transaction. This can arise in two ways – by the agency having close connections with the seller or connections with a prospective buyer. The former is easier to identify, handle and, in most cases, is not contentious since serious conflicts of interest rarely arise. The estate agent will be trying to sell the property quickly and efficiently regardless of whether he is representing an ordinary client or a relative of one of the partners. Personal interest, which may arise if one prospective buyer buys the property but not another, cannot be so easily defined. Clearly, an estate agent should tell a client immediately if he has any form of personal interest as defined in the Act. However we are not just talking about the estate agent buying a property for his own occupation as personal interest is very widely defined to cover all staff, all associated companies and all relatives of all staff in all the companies and all business associates. That covers a large number of people – many thousand if we are talking about the major multi-branch firms. The disclosure must cover both the nature and the extent of the interest. It must be made immediately the interest arises and confirmed in writing. Where the interest arises from a prospective buyer then that should be the first point explained to the seller-client when any offer is discussed. This is a collective expression which covers all the investigations a prospective buyer’s conveyancer may decide to make prior to approving a contract for the purchase of a property. Some are routine, for example, the Law Society publishes a standard form of pre-contract enquiries in most cases requiring merely tick-box answers. Many solicitors will supply a copy of these, effectively pre-ticked, along with a draft contract. Other conveyancers, possibly as a delaying measure, will raise a series of obscure points and pursue them as long as necessary to secure the client’s real objective. Other requisitions covered by the term include local searches, highway matters, and planning issues. While we are estate agents, in business to sell houses, we recognise that some people would rather arrange their own sale if they can. However without access to the main market place in the area which estate agents collectively create, even the most enthusiastic private seller can be somewhat handicapped. If you want to buy a property which we are offering for sale, you will appreciate that we could not recommend our client to take the property off the market when the prospective purchaser has not sold their own house. When we are not instructed we can have no way of knowing how likely you are to be able to go ahead with the transaction. This is the normal way that residential property is sold in the UK. The alternatives being sales by tender or at an auction. As estate agents we will agree an asking price with our client. This will reflect our opinion of the market value and the ideal time-scale in which the client wishes to move. This figure will be widely publicised in the marketing and advertising. But the private treaty negotiations are just that, private negotiations. We must relay all offers to our clients, promptly and impartially, but these are not made public. Other terms and conditions may be attached – for example, over various fixtures, fittings, timing or whatever – but all aspects of the negotiations are kept private and confidential. Traditionally, when contracts are exchanged following a sale by private treaty, the sale price should still remain private. The estate agent might give a broad indication “the house was sold at very close to the asking price” and, occasionally, the actual sale price will be publicised but that should only happen where both parties have given their prior agreement. That said, since April 2000, the Lord Chancellor has agreed that the sale price will be recorded by the Land Registry (LR) (q.v.) in the public section of the registry. The information is then in the public domain. Anybody, not just the title holders, may obtain a copy of any LR entry for a nominal fee. The LR also uses all the price data for statistical purposes and publishes information on a regular basis broken down by region, county, council, authority and even local postal codes. The LR says it will not record the sale price where it believes the figure may not be a fair indication of the actual market value – perhaps because it was associated with a part-exchange (q.v.) transaction and is only the capital difference, or it may include other exceptional adjustments. Conveyancers are expected to warn the LR if a price on their return is unrepresentative when it will either be qualified or omitted from the records. This means that where the parties are keen to keep the sale price secret it can still be done. Reportedly, the LR is not proposing to make an issue over returns where the sale price was, for whatever reason, not included. It is not an omission which would legally allow the Registrar to refuse registration of the sale. This is the formality of proving – or complying with – the terms of a Will. The Executors named in the Will are responsible for sorting matters out. Any property will be sold and the assets either passed on to the beneficiaries or turned into cash. Then the accounts will be submitted and any capital gains or inheritance tax agreed. At that stage Probate is granted and the remaining funds can be distributed. A probate sale means the executors are handling matters on behalf of an estate. They will be acting as trustees and have a duty to the beneficiaries to ensure that they maximise the price achieved. Where there is a likely dispute the executors may decide, or be ordered by the court, to sell the property by public auction. Generally, where an estate agent is handling a probate sale they will have less discretion and, as they will not have been instructed by the former occupier, the agents will know less about the property than is usual. Accordingly, if interested in such a property, we would suggest you have a full survey before formulating an offer to purchase. Estate agents talk of having two registers – the list of property which they have been instructed to sell, and the register of the interested applicants in the market and intending to buy. In our case, these two registers are carefully maintained and represent a large number of active buyers and sellers in the area. By creating this large market we can offer a better selection with plenty of choice at a wide range of prices. These are sometimes called annuity mortgages and mean that the capital and interest are repaid in regular monthly instalments for the full period of the loan. Changes in interest rate lead to changes in the repayment level as appropriate. Whenever a lending institution is asked to provide a home loan, it will take into account the value of the property concerned. This usually means that a local surveyor will be instructed to assess the property. Sometimes he will decide that the property has a particular fault, or requires some urgent maintenance work to be completed. If this problem is severe, but not so horrendous that the offer of mortgage should be refused, a proportion of the loan may be withheld until the work in question has been completed. It will then be re-inspected by the surveyor, who, if satisfied, will authorise release of the balance of the money. There are a number of ways of dealing with a mortgage retention. For minor matters the lender may even agree to accept a formal undertaking that the work will be completed in a short period of time immediately after completion, but failing this a bridging facility may be necessary. Alternatively, we may be able to arrange for the repair work to be carried out after exchange of contracts but before completion so that the full finance is available when needed. This is just one way in which the estate agent can be of particular assistance – so please don’t worry – talk to us about it and we will find the most appropriate answer in the circumstances. This is a right to pass (and repass) over land belonging to somebody else. It could be a public footpath crossing private land or a more private arrangement which only applies to the immediate neighbours in a terrace of cottages when the provision may be covered by a licence or easement. A public highway exists when everyone has rights of way at any time and for any purpose. A right of way may be restricted – as a footpath access to next door’s garden, for those on horseback (a bridle path), or when driving animals. It may include vehicular use for a specific purpose, for example, to allow a tanker access to empty a septic tank on an annual basis. Where a private pathway is used regularly, and the land owner has not attempted to restrict access, a right of way can soon be established under common law. Most rural footpaths were created in this way: the definitive plan – showing all public rights of way – maintained by County Councils, is a very recent concept. Moving an established right of way is possible but not necessarily an easy process. In contrast, moving a private right of way is simply a matter of negotiation. Ideally one should then notify LR of the changes but that is not a legal obligation. These are standard enquiries which the buyer’s legal adviser makes of the District or County Council to check all facts concerning the property, the services, and local authority plans for the area. A search fee is payable and when the market is busy, the searches may take a little while to come through. In such circumstances, a seller would be advised to get his own conveyancer to lodge these enquiries initially and then to pass them over to the purchaser’s legal adviser when the time comes. Searches may on occasion be undertaken personally, which can be very much quicker – though the Local Authority do not then warrant the replies – or a contract may be exchanged subject to satisfactory outcome of the searches. Increasingly, Councils are installing information technology which will allow searches to be automated. This is an important aspect of the National Land Information Service initiative currently being pioneered in the Bristol area. When Home Information Packs are introduced – probably by the end of the first decade – the standard searches and replies will be included. Once the information is available electronically on-line the potential delays should cease to be a problem though there is no likelihood that the data will be free of charge. For many busy Local Authorities the search fees are a useful source of additional income. If a lending institution is not able to offer sufficient finance to enable you to go ahead with the purchase of the property, there may be occasions when it is appropriate to look elsewhere for additional funding. This is called a top-up loan, and secured by a second mortgage. The main lender has what is called the first charge, and technically should be asked to agree to any arrangements for a second mortgage. However this secondary borrowing is not necessary taken out at the time of purchase and may be arranged later to finance home improvements or an extension after the property has increased in value and there is adequate security for the additional loan. As with all your financial arrangements you should not enter any commitment without first talking to a financial adviser who will be able to offer professional advice and know which sources or insurances companies to approach on your behalf. In certain cases, generally for first-time buyers, it may be possible to arrange loans up to 100% of the valuation – i.e. in effect the full amount of the purchase price. It can be done so do please ask us for details. From a legal point of view, this expression means the property being placed in mortgage and against which the loan is issued. Occasionally, a lending institution may agree to make a somewhat larger advance than would otherwise be the case if an additional form of security were made available. This usually takes the form of an additional charge against a second property which is not itself in mortgage. When we talk about a secured loan it means any form of borrowing where the lender has a mortgage charge registered against the title of a property. The interest rate will normally be less than for similar borrowing which is unsecured. In that case the risk is regarded as higher since there is no property involved which could, as a last resort, be sold under a court order. If a borrower of an unsecured loan defaults the lender could lose all the money. This is the person who currently owns the property, and who instructs the estate agent to offer it for sale on his behalf. The seller, formerly referred to as a vendor, is usually, but not necessarily the person in occupation of the property at the time. He may be the landlord or a property could belong to a corporate client. This is a type of tenancy agreement that is now commonplace. Introduced progressively over a 15-year period it has effectively side-stepped the concept of fair rents dictated by a Local Authority Rent Officer. As a result there is now far more rented accommodation available than in the early 1980s when the private rented sector appeared to be in terminal decline. The changes have been introduced slowly with all-party support. Since 1997 all new leases are automatically shortholds unless otherwise stated. The need for a separate notice to that effect has been dropped. There are two types – an ‘assured shorthold tenancy’ and an ‘assured tenancy’ where the shorthold aspect dealing with the repossession provisions is excluded. Because an ‘assured tenancy’ can be periodic and not have a definite date for termination it could run on for many years providing the tenant abides by the conditions and pays his rent on time. This type of agreement gives greater security to the tenant. A shorthold is a flexible concept which can run for as little as six months or run for many years. Few are initially longer than three years for technical reasons but they can be for any specified fixed term. During that time a tenant who pays his rent and abides by the terms of the ‘assured shorthold tenancy’ agreement has security of tenure and this agreement will remain in force for the pre-determined period. The advantage for the landlord is that he is assured obtaining possession of his property at that time. Of course, a tenant may give notice to leave after giving one month’s notice while the landlord, in exceptional circumstances, may apply to a court for possession after the first six months. Landlords must give two months’ notice to the tenants. Basically, a sitting tenant is somebody who has security of tenure and cannot lawfully be evicted. The tenant may voluntarily agree to leave the property but otherwise cannot be removed without a court order and providing he is keeping to the tenancy agreement and paying the rent on time, this is unlikely to be granted. This means that only one estate agent has been instructed to handle the sale of the property. To avoid future problems, a sole agency agreement should be agreed for a specific period of time. Once instructed on this basis without immediate competition an estate agent is able to give more time and attention to the marketing operation confident that he will arrange the sale and get paid for his efforts. A sole agency could of course be extended by mutual agreement, or, if necessary, cancelled early by a reasonable period of written notice given to the agency. Commission becomes payable if the estate agent arranges the sale, but not if the seller arranges this himself. Having said that, we pride ourselves in putting a great deal of time and effort into handling all sole agency instructions, and hence this service is offered on the clear understanding that the seller is not actively trying to sell the property in open competition with us. If the property is not sold, or later withdrawn from the market, no commission is payable – only any specific expenses which would have been agreed at the outset. Do not confuse ‘sole agency’ with a ‘sole selling rights’ agreement. This is a more restrictive form of agency which is sometimes appropriate for commercial transactions, or auction sales but is less common and not generally a recommended form of agency for ordinary residential purposes. Sole selling rights mean the estate agent would be entitled to the agreed commission payments for any sale arranged during the period of the agency however this comes about. We would advise you to think very carefully before entering such an agreement for you might end up with a liability to pay a commission when you have sold the property yourself. When Home Information Packs come into use in due course, the estate agent may well be doing a great deal more preparatory work than the present system. That will lead to restructuring the remuneration. Some clients will be prepared to fund the initial costs but where the estate agent is expected to pay for them, a greater commitment will be required and this may well involve an assignment of sole selling rights. Time will tell. When any estate agent is appointed a sole agent you should stick to the agreed terms. If you were to involve another agent within the specified period and this second agency arranged a sale the first agency would also be entitled to be paid. In order to ensure an estate agent’s clients are aware of any restrictive terms in their agency agreement, and this potential for two commission claims, there are statutory regulations which specify the form of words for a warning message which has to be include in the written terms of business given to every prospective client prior to the agreement coming into force. Where one or more estate agents are instructed on what we call a multiple agency basis, there are no statutory obligations over the specific wording to be used in the terms of business. That means the client remains free to instruct an additional agent whenever he wishes safe in the knowledge he will only have to pay the one who arranges the sale. However, when the estate agent is appointed as the ‘sole agent’, or has ‘sole selling rights’, then specific forms of wording must be used. In the past confusion over the exact meaning of ‘sole selling rights’ has led to the courts construing a ‘sole selling agency’ as merely a ‘sole agency’ – therefore, when the seller had arranged his own sale, he did not have to pay the estate agency any commission. The wording of these two individual notices is intended to eliminate any confusion of this kind. The Regulations say the warning notices must be reproduced without any material alterations and shown prominently in similar style wording to all the other items of information in the agency agreement. – with a purchaser introduced by another agent during that period. – if unconditional contracts for the sale of the property are exchanged after the expiry of the period during which we have sole selling rights but to a purchaser who was introduced to you during that period or with whom we had negotiations about the property during that period. Finally the Order talks about a definition for the expression ‘ready, willing and able’. This aspect has given trouble in the past and led to disputes going to Court. This statutory warning notice is precise and to the point as the draftsman wanted to ensure prospective clients understood the message. Certainly the use of this very specific form of warning should remove any possible confusion. It will normally be used in addition to any ‘sole agency’ or ‘sole selling rights’ notice as it addresses a different point. A purchaser is a ‘ready, willing and able’ purchaser if he is prepared and is able to exchange unconditional contracts for the purchase of your property. You will be liable to pay remuneration to us, in addition to any other costs or charges agreed, if such a purchaser is introduced by us in accordance with your instructions and this must be paid even if you subsequently withdraw and unconditional contracts for sale are not exchanged, irrespective of your reasons. A solicitor is a legal adviser representing either the seller or the buyer. It is technically possible, but ill-advised, for one solicitor to represent both parties. In such a scenario the solicitor must have had both parties as previous clients as well as their mutual agreement to his handling the matter. Most commonly this may arise with a sale between two members of the same family after probate or a family rearrangement. The seller’s solicitor is responsible for drawing up the legal documentation, while the buyer’s solicitor will look into all aspects of the proposed agreement on behalf of his client. He should be in a position to give independent impartial advice on all aspects of the purchase and you should consult him before signing any contract or legal agreement. We would emphasise the importance of the solicitor being independent. If he were employed by anyone then his duty of care to his employer could take precedence over his duty to you – hence his advice may not always be as impartial as you would wish. Solicitors are qualified to handle a wide range of legal work in addition to conveyancing. They all belong to the Law Society and bound by specific codes of professional practice. Indeed the initial monopoly on conveyancing was granted to the solicitors’ profession over 200 years ago. As estate agents we have had long experience of dealing with all local solicitors and conveyancing companies, and will be pleased to recommend a list of suitable firms you may wish to approach. These are not sitting tenants. Squatters occupy the land or property without specific authority. And pay no rent. Unfortunately, unless there is evidence of forcible entry, the ejection of squatters is not straightforward – indeed it can be a lengthy legal process. ‘Squatters Rights’ is a general term applying to the acquisition of title to an area of land by an undisputed period of occupation. This has to spread back unchallenged, over at least 12 years, and if this possibility ever arises, you will need to take careful legal advice on the position. Any offer, or payment of rent – in money or in kind – could be taken as admission of the existence of tenancy of the land in question which would make it unlikely that squatters rights could be established. That said, new arrangements to protect the interests of registered owners are included in the Land Registration Act 2002. While a squatter may be able to register a claim after ten years’ adverse possession the registered proprietor will be notified of the application and free to object. The application will then be rejected unless the squatter can meet one of three limited criteria. However, if the proprietor does not take steps to evict the squatter, or regularise the position within two years, any squatters still in adverse could qualify to be registered as owner. This is a small tax paid on all contract documents, the exact amount relating to the price of the property. Stamp duty is technically a tax on the transfer of any valuable rights so it is also payable on share transfers and various insurance policy documents. It is also payable on any tenancy agreements which are subject to court action. Stamp duty on house purchase has recently been restructured by the 2000 Budget and called Stamp Duty Land Tax to differentiate it from other forms of Stamp Duty. It is likely to be reviewed regularly as it is an apparently simple form of taxation on the ownership of more expensive property and one the Exchequer will not easily relinquish. If your purchase falls within the band where stamp duty is payable, there is no way to avoid such payment. It may be possible to adjust the proportion of a sale price allocated to fittings and extras. This could be of some help at the margin where a tax band increases in a large step but bear in mind the Inland Revenue has recently set up a team of investigators to look into these marginal transactions and any over-valuation of the extras can result in prosecution for tax evasion. Look at it as a small price to pay for all the privileges and advantages of owning a home of your own! This is a simple expression which used to be critically important – it means that offers and proposals about buying or selling property are made tentatively and are not at that stage intended to be firm commitments. The addition of the expression ‘Subject to Contract’ was then a crucial safeguard as it prevented any memorandum or other written documents being cited as evidence that a verbal contract was in existence. This possibility was set out in Section 40 of the Law of Property Act 1926 and not finally repealed until legislation in 1989 which stated that any contract for the sale of land must now be in writing. The provisions are changing again with the Land Registration Act 2002. That said, endorsing a preliminary offer for a property as being ‘Subject to Contract’ is still an idea but it is no longer so critical. In effect, the phrase is a shorthand note that the offer is not intended to be binding at that point in time. The other advantage is that everybody knows what you mean by it. When you write any letters to your estate agent, solicitors or others involved, it is a simple matter to include the phrase at an appropriate point in the correspondence, or at the top of the letter. But nothing matters if you leave it out. There can be confusion over the difference between a survey and a valuation (discussed below). And between the different types and purposes of surveys. Strictly speaking the word ‘survey’ means no more than a look at a property by a professional person for a specific purpose – which could be to appraise its basic value as security for mortgage purposes or to assess the dilapidation’s schedule at the expiry of a full repairing lease. These days the prospective buyers are usually sent a copy of the valuation report but one should not place too much faith in this superficial type of survey. It may have been subject to a thorough inspection by a qualified surveyor who would have commented on any real problems but that is not necessarily the case. This type of report has a single purpose: to confirm to the lender that it would not be ill-advised if they were to advance the requested loan secured by a charge against the title to the property. If there is a major defect – which, unrepaired, would significantly reduce the resale value – the surveyor should have drawn this to the attention of the lender as their client. Of course, where a particular defect is significant, the valuer may recommend a reduced offer, suggest a retention from the advance, or even turn the property down completely. Remember that the report was commissioned by the lender and accordingly it is not a warranty or guarantee. Mostly importantly you should not rely on it fully as indicating that nothing else is remiss with the property in question. A full Structural Survey is a more involved and detailed investigation which will have been carried out by a qualified surveyor who will then report in detail on the condition of most aspects of the property – any matters not covered, for example, the drains, the heating system or whatever, will have been noted in the report usually with recommendations for contacting a specialist contractor. In the case of a big old house or converted flats it may be imperative to have such a detailed survey carried out, but it will be a relatively costly undertaking. You must also bear in mind that the surveyor will have tried to make reference to every existing fault – and any potential fault – which has come to his attention. Consequently, his report may well sound quite a catalogue overall, so it is particularly important that you understand the implications of what is said. We do recommend that you read the report carefully, and maybe talk to your solicitor, to avoid jumping to hasty conclusions. If a survey does show up a major and unexpected fault, then we may be able to arrange for an adjustment in the price, or for the seller to assist with the cost of the remedial work. Either way it is not the end of the world – there are very few properties which could pass a full structural survey unscathed and clean. Incidentally, the Royal Institution of Chartered Surveyors and the Construction Industry Council argue that the term ‘structural survey’ can be misleading and have tried to define various building inspections and surveys very precisely. They have found that the same titles sometimes identify different services on a localised basis and can confuse people moving from one part of the country to another. Some ‘structural surveys’ would include a valuation, while others prepared by a structural engineer for example, may only cover the load-bearing elements and not expect to be involved in more superficial issues. Accordingly, these Professional Bodies recommended that the term ‘structural survey’ is replaced with ‘building survey’ and stress that it is everybody’s interests to have the conditions of engagement, with a definition of the brief and the extent of the inspection to be undertake, agreed in writing at the outset. A building survey is therefore a investigation and assessment of the construction and condition of a building which will not normally include advice on value. This may be carried out by a chartered surveyor or structural engineer and will generally include the structure, fabric, finishes and grounds. The exposure and testing of services are not usually covered. The extent of the survey should be subject to specific agreement with the client while advice on the cost of repairs will be subject to such agreement. The report will include reference to visible defects and guidance on appropriate maintenance and remedial measures. The report may still recommend that specialist and elemental investigations are undertaken or other specialist advice obtained relating to specific issues. Because of the time, cost and professional responsibility involved in producing a structural or building survey, they are expensive. There is a more limited form of house buyer’s survey which is widely available. These ‘Home Buyer’s Reports’ are prepared on a standardised basis and intended as a mid-way option between a valuation and a full building survey. The pro-forma cost is related to the price of the property while the report includes a number of strong explanation and exclusion clauses. The latest version also includes recommendations for repair work graded according to their importance and urgency. For straightforward properties where the client requires no out-of-the-ordinary advice, these reports in a standard format and under the relevant standard conditions of engagement are proving popular although minor items of disrepair which do not materially affect the value will not normally be reported. Whether services will be tested or not will be agreed between the parties beforehand. Finally, the question arises of whether one should have a separate survey, or rely on the valuer’s report to the lending authority. Generally speaking, with a modern property there should be nothing major which is not apparent on close inspection. On the other hand if you are particularly concerned about an older property, or a worrying feature of a more modern property and really feel it is worth spending money to be fully informed and reassured about the condition, then we can give you a list of reputable local surveyors that you may care to approach. Obviously, we are not in a position to offer this service ourselves if you are buying one of the many properties we are offering for sale. Do not confuse surveys, any surveys – which are commissioned by an individual and for their own purposes – with Home Condition Reports which will be introduced in a few years time. They are not surveys but a ‘snapshot’ of the property at that point in time and will be in the public domain and open to free inspection by potential buyers. This normally refers to a licence granted to the purchaser to take possession of the property after exchange of contracts but before completion. Usually this will be agreed in order that certain specified work may be carried out – to meet a building society undertaking or whatever: it would be a breach of such a licence to move in early and take full occupation. Such an arrangement would be subject to agreement between the two legal advisers involved, and be granted ‘without prejudice’ on the seller’s side. This legal expression has nothing to do with renting property. When you buy a property with a partner you have a choice of ownership. As Tenants in Common you own a pre-agreed share of the property (usually 50% of course). On your death this share can be willed separately and need not necessarily be left to your partner. The alternative, Joint Tenants (q.v. ), is the more common and means you share all of the property equally and so, on death, the survivor automatically inherits the whole property. Technically, a tender is any formal offer set out in writing. In relation to the sale of property it is an unusual method of sale although it has potential merit – more certainty than selling by private treaty with more flexibility and discretion than selling by public auction. There are two main styles of sale by tender – formal and informal. A formal sale by tender is largely similar to a public auction with all the terms and legal documentation being published in advance. All the potential buyers are then invited to submit their best offer using the printed tender document submitted by a set time and date. Unlike a sale by auction the bidding is secret and, accordingly, each prospective buyer must decide their top price without guidance from the strength of rival bidding in the room. In the tender conditions the seller will usually reserve the right not to accept the highest (or any) price although in most cases the seller will accept the best price. It is, however, his decision. In contrast, at an auction, the seller has no right to refuse the best offer (once bidding exceeds the reserve) and therefore he cannot reject a particular buyer for personal reasons. It would be unusual for formal tenders to be invited on a ‘subject to contract’ basis as that would have little benefit to anyone. This means the formal acceptance immediately creates a binding contract. That side an informal tender might be arranged on a fairly ad-hoc basis inviting best offers though still, technically, ‘subject to contract’. This could be arranged as an alternative to a contract race where there are several contenders. Each one being invited to submit a ‘best and final offer’, subject only to contract, with the seller effectively offering to give the top bidder a short but exclusive period to complete the legal investigations and exchange contracts unconditionally. Sometimes all the prospective buyers will be invited to attend a meeting with the seller-client present when the offers can be opened in their presence so that everyone can see the arrangements were fair and impartial. In effect, this is not so dissimilar to the approach adopted in Scotland when a property is proving popular. Then a closing date will be set and all prospective buyers invited to submit their best offer. One is then accepted and formal missives agreed. This term describes the main types of property ownership – the most common is freehold (q.v.) but flats, apartments (and occasionally houses) will usually be leasehold (q.v.). The Government has more recently introduced commonhold (q.v.) although this will only apply to new property. Shorthold (q.v.) is a further form of secondary tenure which may be offered by a landlord who can have a freehold or leasehold interest in the property. The tenant pays a market rent during the pre-agreed period of the shorthold. The surveyor who values the house on behalf of the bank or building society may well recommend a separate timber report on all pre-war and period property. While one may also be suggested for a post-war house if there is evidence of woodworm, damp or some form of rot. There are a number of specialist firms dealing with work of this nature, and a comprehensive report is generally available free of charge. Damp need not be a serious problem, and remedial work can easily be carried out, however some other types of timber infestation can be more troublesome, the worst being dry rot which must be removed and treated immediately as it can travel very far and very fast. If there are any untoward problems at all, come and talk to us and we will discuss the matter with our client in order to reach a satisfactory agreement on carrying the work out in time and, maybe, apportioning the cost. This means the legal ownership of property or goods. As far as the ownership of land is concerned all titles to residential property are now recorded and guaranteed by the Land Registry (q.v.). The plans and title records are in the public domain and will be used by the seller’s solicitor to form the basis of the sale contract. Once the transaction is completed your name will be registered with the LR as legal owner of the property. This means a roadway where all the adjacent owners, and any members of the public visiting them, have normal rights of way although the roadway itself is not owned or maintained by the Local Authority. This may be due to an historic anomaly where the original landowner refused an offer to convey the roadway to the local authority or some other legal impediment arose. Although new home builders are required to take out an insurance bond to cover the cost of constructing the new roads on a residential development it can happen that the firm goes bankrupt and it later transpires the premium was never paid while the roads remain partially completed. The local authority cannot take over the maintenance until the roads are surfaced to the minimum statutory standards – hence stalemate. In the worst case the roads may remain unadopted for years which can cause the residents problems when they come to resell their property as mortgagees do not like the indecision and possible liability. The best solution is for the home-owners, collectively, to pay to upgrade the road sharing the cost in proportion to their road frontage. These payments are called road charges. Sometimes the local authority will undertake the actual work once it has the necessary commitments from all the residents. However, it only needs one or two residents to default for the road to remain unadopted. If the lender’s surveyor points to the need for repairs to the property, the mortgage offer may require you to carry out specific repairs within a set period of time – usually three or six months. This is a fairly normal procedure with older property, and in most cases will cover items which you will already have noted and intend to deal with by way of normal maintenance anyway. The building society or bank will endeavour to be realistic in this approach, but if you have any problems do come and talk to us about it, it is unlikely to be a major problem. This expression means that the property, although currently occupied, is for sale on the understanding that the present occupants will move out prior to completion and that you will be available to move into the property immediately. The alternative is for a property to be sold subject to an existing tenancy, when it may be sold purely as an investment opportunity, or there may be part vacant possession, with only certain rooms being occupied by a statutory tenant. In these circumstances it is important that you discuss the matter carefully with your legal adviser since landlord and tenant legislation is complex and can change from time to time with new housing legislation coming through. Vacant possession is naturally assumed when a property is put on the market and will not be noted on the particulars but if any delay or special conditions apply the estate agent will make an appropriate note. A valuation is not, strictly speaking, a survey although it may be carried out in association with a survey, or by a surveyor, as explained earlier. Under present legislation building societies are still required to have property professionally valued but the latest mortgage banks are less strictly regulated and may soon be able to make an adequate appraisal by checking electronically against a database of comparable properties. Before most banks and all building societies can lend money to help you purchase property, they will want to have a valuation carried out by a competent professional person. Usually this valuation will come in fairly close to the market price of the property, but just occasionally the surveyor will have been asked to report on property outside his normal area or experience resulting in a more conservative judgement. This is only likely to be critical if you are seeking a full 90%, 95% or maybe 100% mortgage. Please talk to us if you have any doubt about it; your solicitor will be able to explain the implications and position more fully. Since we sell a lot of property and have one of the largest registers of property in the area, it follows that we will have a very clear idea of current market trends. In the unlikely event of there being a major difference between this valuation figure and the price you have agreed to pay, do please talk to us for there is probably a simple explanation or a misunderstanding which we can help to correct. If buying a new property, offered complete with carpets and many other fitments, then the valuation may include a discount for these extras – and relate merely to the bricks and mortar which is the main investment you are buying. Legally these white goods cannot be covered by the mortgage charge. Please remember that the primary purpose of a valuation is to provide an opinion of the price a property might achieve if it were sold, while other types of survey and inspection (discussed above) may focus on condition, constructional issues and associated remedies. A valuation inspection normally precedes a valuation, which advises on the value of a legal interest in property. Of course valuations may also be made for a variety of other reasons. Three issues need to be understood and pre-agreed between the parties before the valuation is carried out: the purpose and date for which the valuation is required; the extent and tenure of the property to be valued; and the specific assumptions on which the valuation will be made. A valuation inspection should then take account of relevant factors affecting condition, location and aspects of construction which are readily observable on a walk-around inspection. With a simple property valuation the professional is not any contractual duty to advise in detail over defects or as to their remedy, neither will they be obliged to uncover, open-up or investigate individual features of a property. Finally, a valuation should not be interpreted as, or used in substitution for, a survey report. Generally, the scope of a valuation inspection, and any measurements taken, will be confined to what is necessary to establish aspects and factors material to value. Incidentally, under the round of procedural reforms being proposed by the Government with the introduction of Home Information Packs and the associated Home Condition Reports, the Council of Mortgage Lenders is under pressure to allow its members greater use of desk-top valuations drawing on data-base information and placing less reliance on an actual site visit which is time-consuming and more costly. Some lenders already adopt this approach where the advances represent less than 75% or 80% of the sale price. After all no buyer is going to pay substantially over the fair market value and the sale price is usually about right. This term is still used in estate agency circles to mean the seller-client who owns the property. It is, however, so archaic that even the Law Societies have dropped the expression in favour of seller (q.v.). One day estate agents may catch up and adopt this modern expression. All new legislation talks about sellers. This is a phrase which can be used to safeguard correspondence in which provisional offers are made which are tentative, and which may need to be withdrawn later depending upon how negotiations proceed. In this way they differ from any ‘subject to contract’ offer which remains on the record, although neither party is committed by such negotiation. ‘Without prejudice’ offers are probing suggestions for matters yet to be settled during the ongoing negotiation. If they are later withdrawn they may not be quoted in future negotiations nor used as evidence in any court proceedings. The phrase is used more particularly in tenancy negotiations, regarding future rent levels, etc., although it can arise in leasehold negotiations with the landlord, or whoever has to give consent to any assignment. There are also a few circumstances when the use of ‘Without Prejudice’ can adversely affect the position, for example, where any formal notice required to comply with the specified time-table would not be legally valid, if it were only made in ‘without prejudice’ correspondence.